Volunteer Ireland has hired Flagler Films to produce a video for AbbVie in Dublin. The 3-minute video is about AbbVie’s “Week of Possibilities” volunteering project in Dublin. This project had 60 volunteers contributing over 250 hours to help refurbish a school lab and storage room at St. Aidan’s Community School in Tallaght, Co. Dublin. The video will be completed in July 2017. 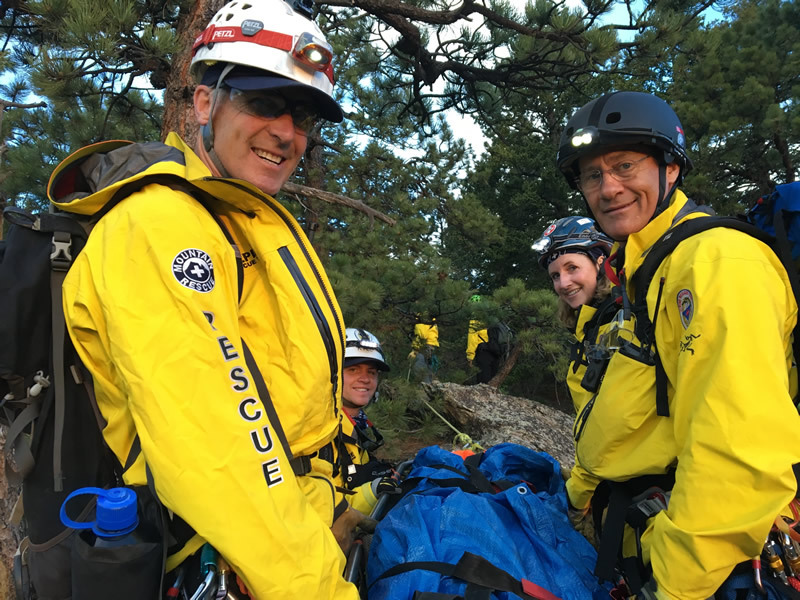 Mark Flagler travelled to Boise, ID from June 2nd-4th to capture the Mountain Rescue Association AGM. 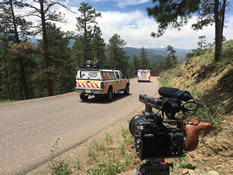 Mark then spent nearly two weeks around Evergreen, Colorado to film a “child getting lost and found” scenario for the promotional video. 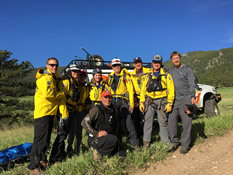 A special thanks to all the mountain rescue volunteers, 911 dispatch officers, park rangers and “Flight for Life” helicopter pilots that were part of this project. 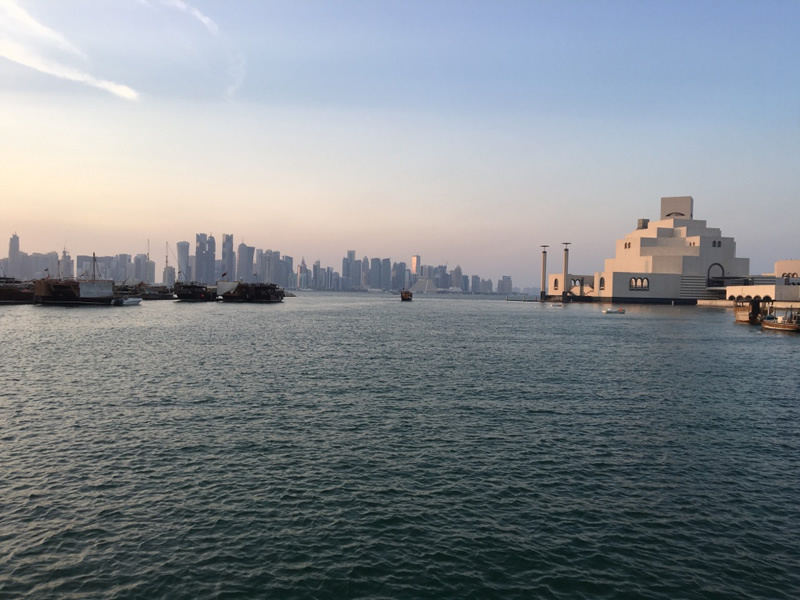 Flagler Films completes “A Qatari Family: Conquering Mountain Together” documentary. 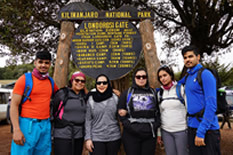 The 30-minute program captures a Qatari family of six who set out to climb Mount Kilimanjaro in Tanzania…Africa’s highest mountain. Led by local guides and porters, the family spends 8 days trekking the famous Lemosho Route experiencing typical mountain climbing life…shortness of breath in the high altitude, sleeping under the stars, relishing the local cuisine, enduring freezing night-time temperatures, witnessing the mountains hauntingly beautiful scenery…all as they strive to reach the Roof of Africa at a height of 5,895 meters. The higher they climb the more difficult the journey becomes. This physically and mentally exhausting trek pushes each family member to the brink. The family's mission is to build and strengthen the bond between one another by taking on challenges together. Climbing the tallest mountain on the Continent together is their biggest family challenge to date. Find out who reaches the summit of Mount Kilimanjaro. The video will be made available to the public by 2018. 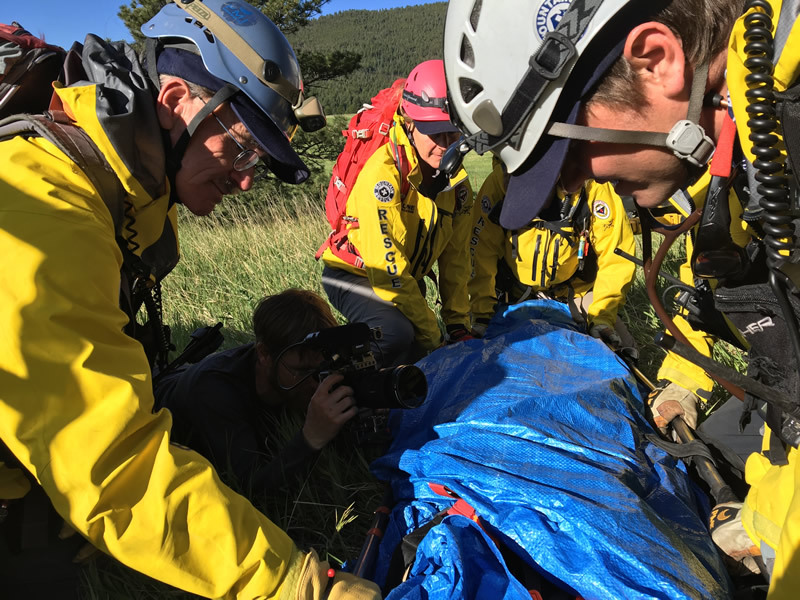 The Mountain Rescue Association in the US has hired Flagler Films to produce a 4-minute promotional video. 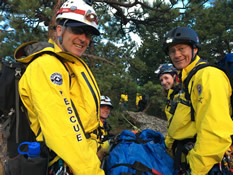 The video will highlight the many volunteer rescue teams across America and showcase their hard work and dedication to helping those in need and saving lives. The video will be completed before 2018. 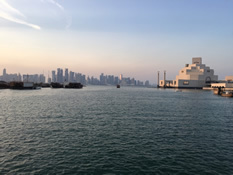 Mark Flagler completes the production for the Qatar family documentary. The 8-day climb was an incredible experience. 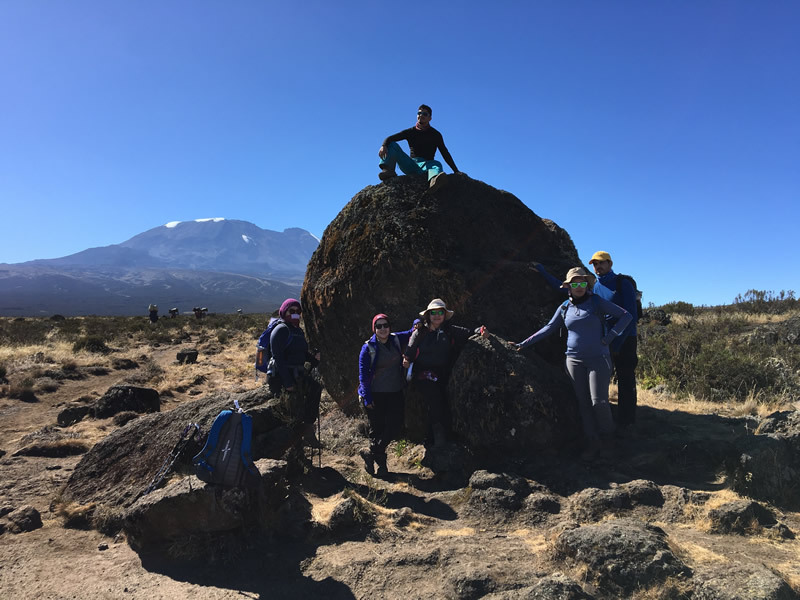 Mark captured the spectacular scenery, introducing the trails and tribulations of climbing Africa’s highest mountain, meeting the local guides and porters and sharing the many celebrations as we reached the roof of Africa. 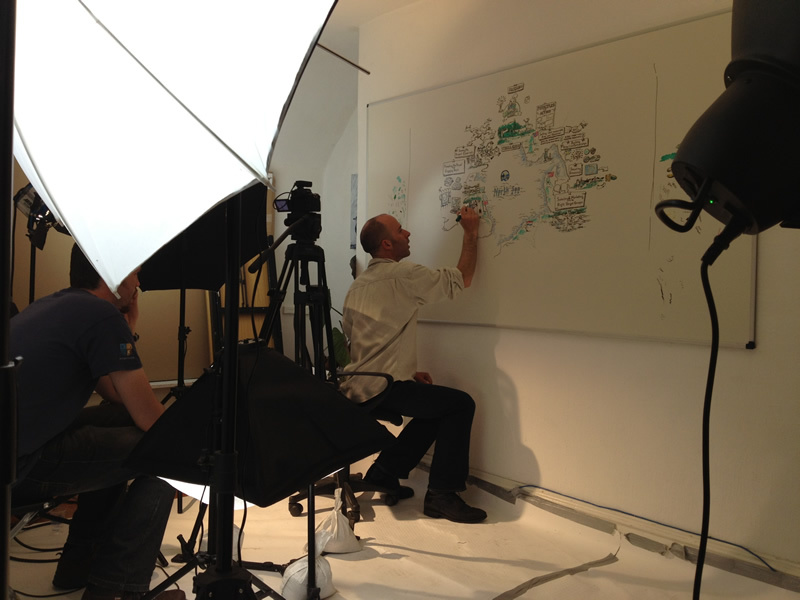 Mark Flagler begins the production of the Kilimanjaro video. He travels first to Doha, Qatar to capture the family preparing for their Kilimanjaro trip. The climb takes place from August 26th to September 3rd, 2016. 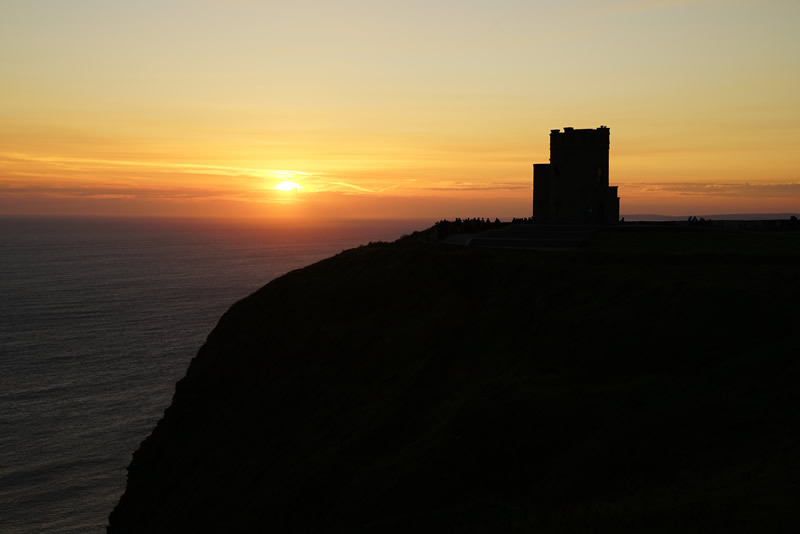 Flagler Films is hired by Maxmedia to film and photograph 20+ locations along the Wild Atlantic Way, the world’s longest defined coastal touring route. 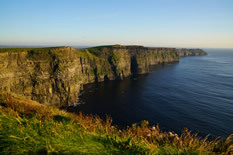 The 2,500km scenic driving route explores the West Coast of Ireland. 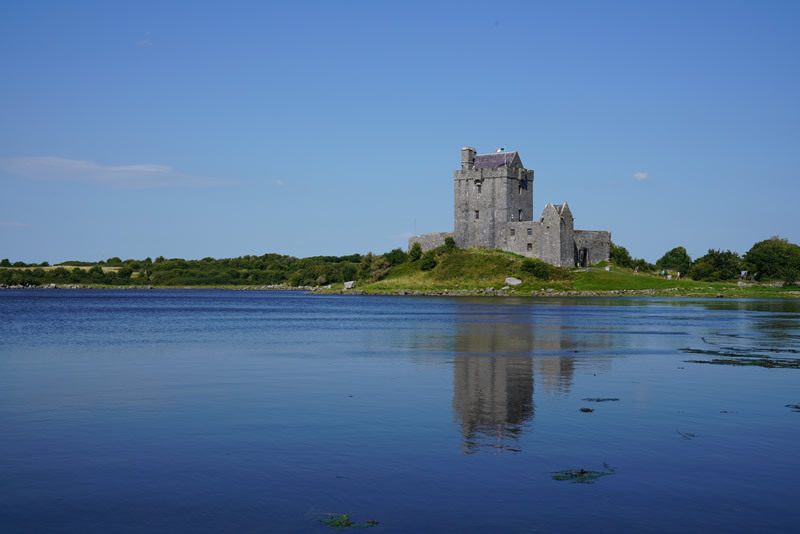 Flagler Films will capture the many Signature and Discovery Points in County Clare, County Galway and County Mayo. 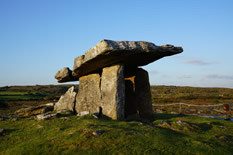 The video footage and photographs are for Tourism Ireland. 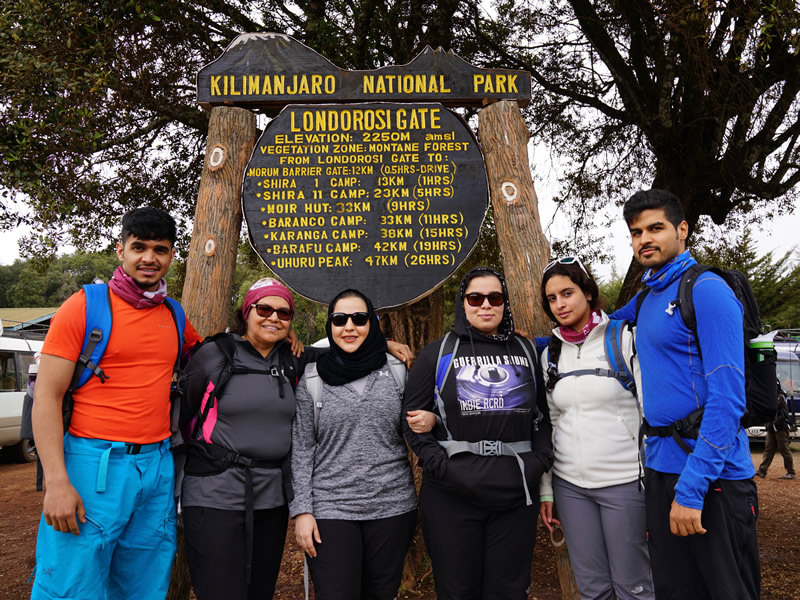 The Qatar family of Al-Khanji has hired Flagler Films to produce a 15-20 minute video about their trek up Mount Kilimanjaro. 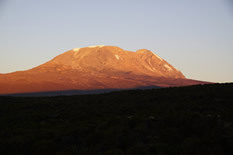 Six family members will follow the Lomoshu Route to the roof of Africa. 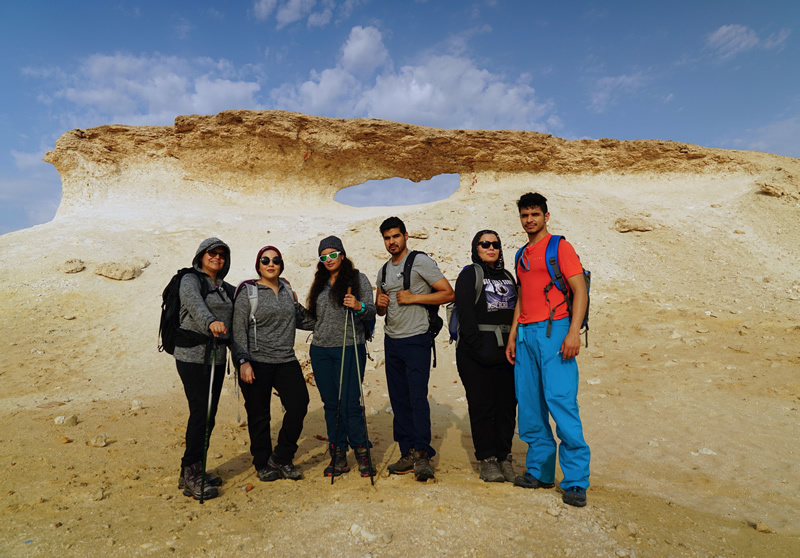 They want to capture their experience and share with people the importance of “family” and to encourage other families todo things together and to be active in the outdoors. 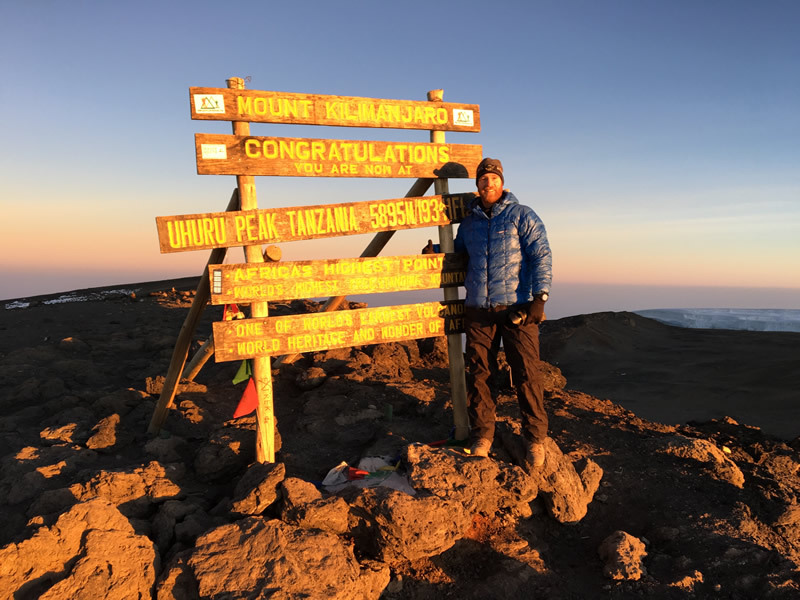 Three family members have already summited the highest mountain in Africa the previous year. 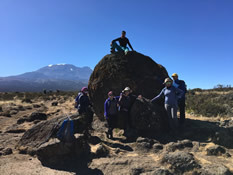 This time around all the family will attempt this incredible journey together.Ian Taylor Trekking will be guiding this 8-day trip (www.iantaylortrekking.com). The video will be completed in January 2017. 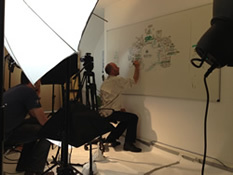 The production on the three videos for Siemens has begun. Flagler Films will capture all aspects of the building process during the four month construction: delivery turbine components to Dublin port, delivery components on site, pre assembly at hard stands, erecting large crane, construction of turbine, assembling the rotor, lifting the rotor and all turbines finally working. 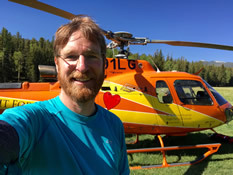 Mark Flagler will spend three weeks traveling throughout Washington State capturing the 9 rescue teams hard at work. 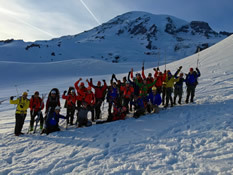 The production includesa two team mock rescues on Mount Rainier, helicopter training, snowmobiling in Mount St. Helens National Monument, high angle rock, patient packaging, woodland tracking and night navigation training, canine search, a mock rescue with border patrol on Mount Baker with helicopter, skiers and snowshoers and public education at a local community college. Here are some photographs from the production. 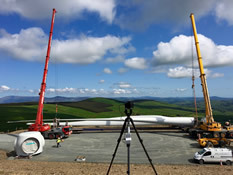 Flagler Films is hired by Siemens to produce three short videos about the Raheenleagh Wind Farm in Co. Wicklow. 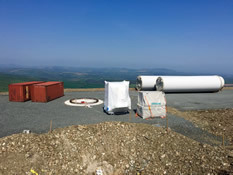 The 11 wind turbines will be constructed from May to August. The videos will be completed by 2017. 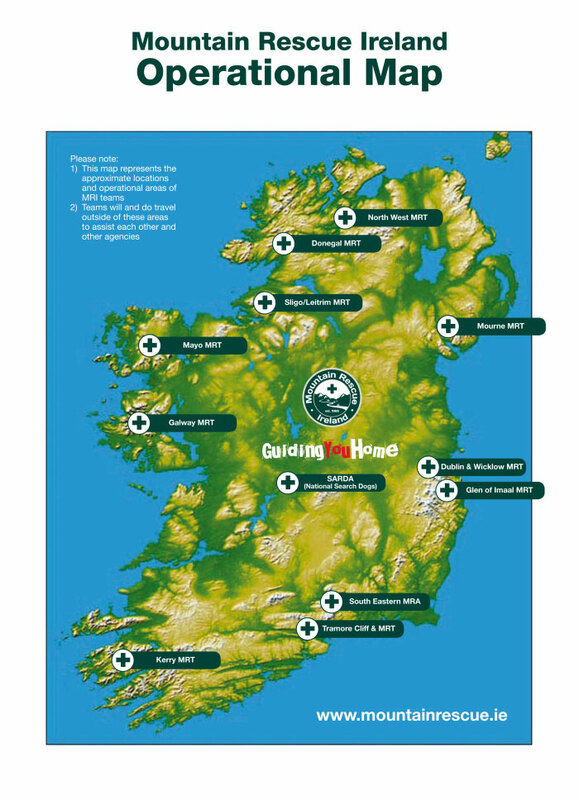 Mountain Rescue Ireland: Guiding You Home Since 1965 video was shown on several occasions at the 67th International Commission for Alpine Rescue (ICAR) annual conference in Killarney, Ireland. 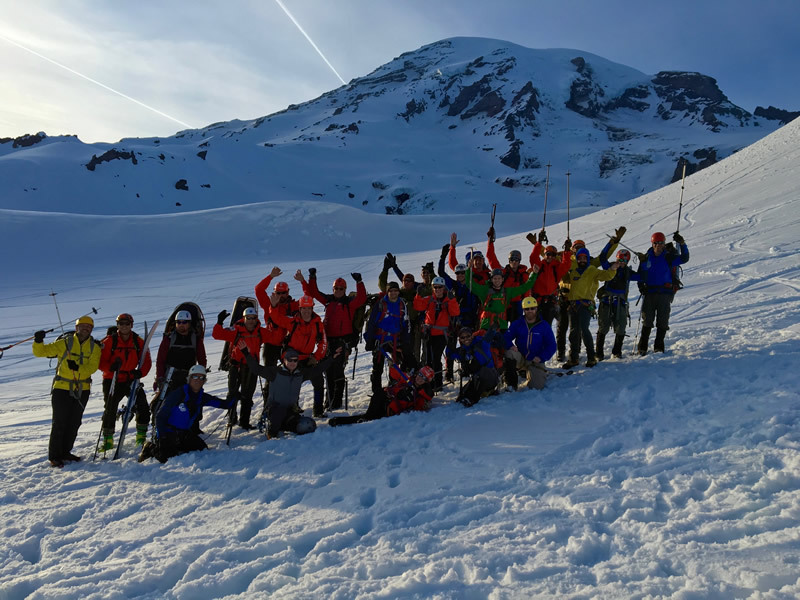 Over 450 mountain rescue members from the 85 member organizations across 34 countries attended the weeklong event. 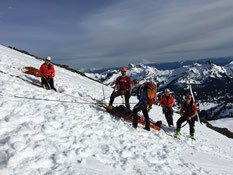 For more information visit http://www.alpine-rescue.org. 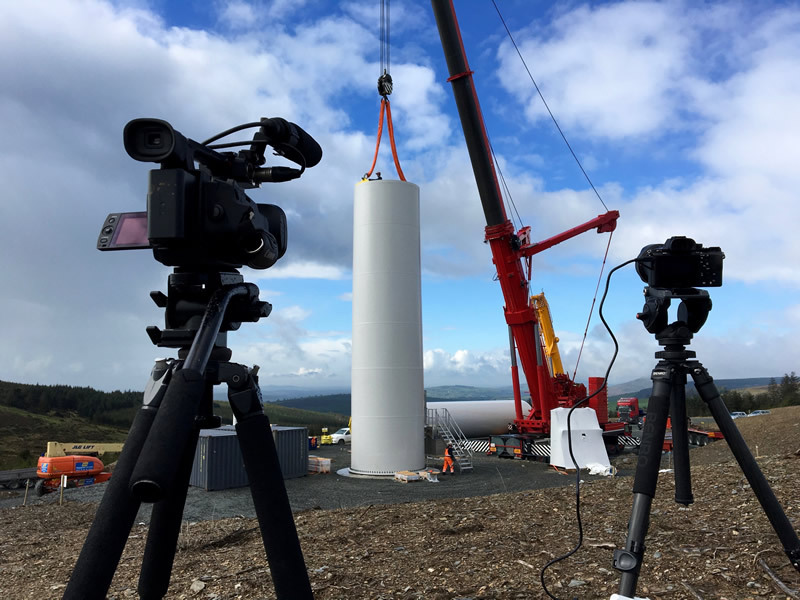 The production of the Mountain Rescue Ireland video began up in Co. Mayo. Mark Flagler spent the weekend capturing mountain rescue members training and assisting the many pilgrims climbing Croagh Patrick on Reek Sunday. 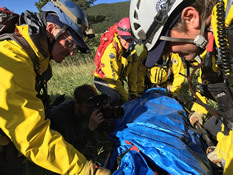 Flagler Films is hired to produce a 3-minute promotional video for Mountain Rescue Ireland. The video will highlight the important voluntary work that is done by the 12 mountain rescue teams throughout Ireland. Mountain Rescue is a 24 hours a day, 7 days a week, 365 days a year voluntary frontline emergency service. It is provided by Mountain Rescue Teams based in each mountainous region of Ireland. The teams are independent democratic bodies. 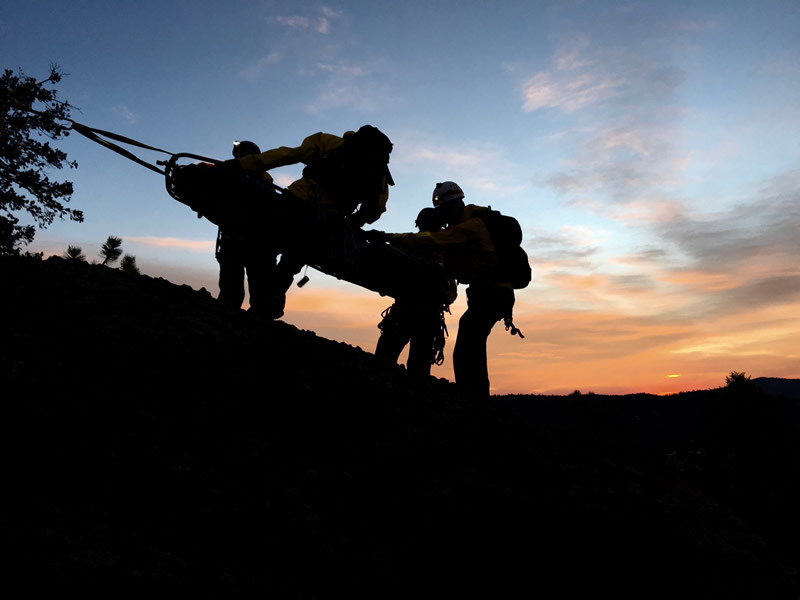 A federation of the teams forms the overall body, the Irish Mountain Rescue Association which supports and represents them. 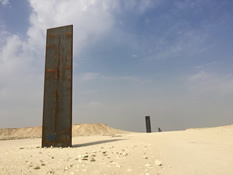 The video will be completed by October 2015. 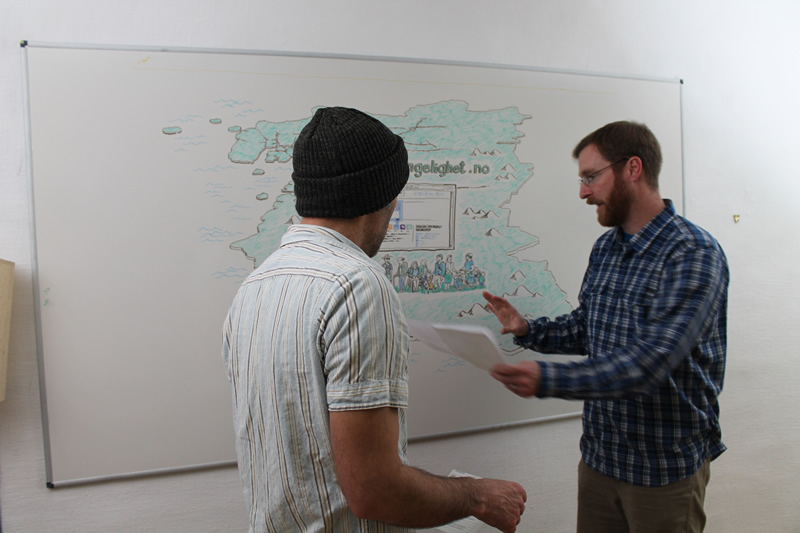 Rogaland County Council in Norway has hired Flagler Films to add subtitles to recently produce videos: "Rogaland's Recreation for All" and "Rogaland Methodology Animation." 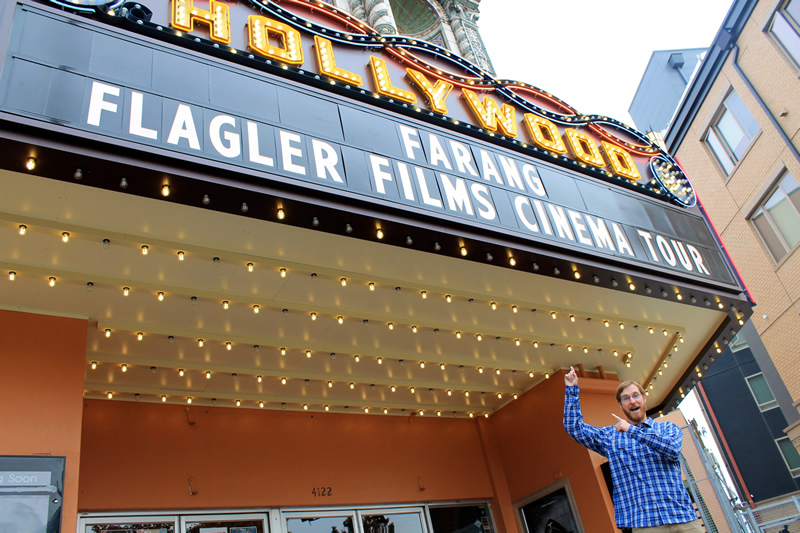 Flagler Films is hired to add subtitles to the English and Norwegian versions of each video. The video is be completed before July. 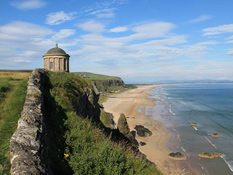 Tourism Ireland has purchased the "rights" to use Flagler Films video footage of Northern Ireland. The video clips will be used to promote Ireland at home and Internationally. 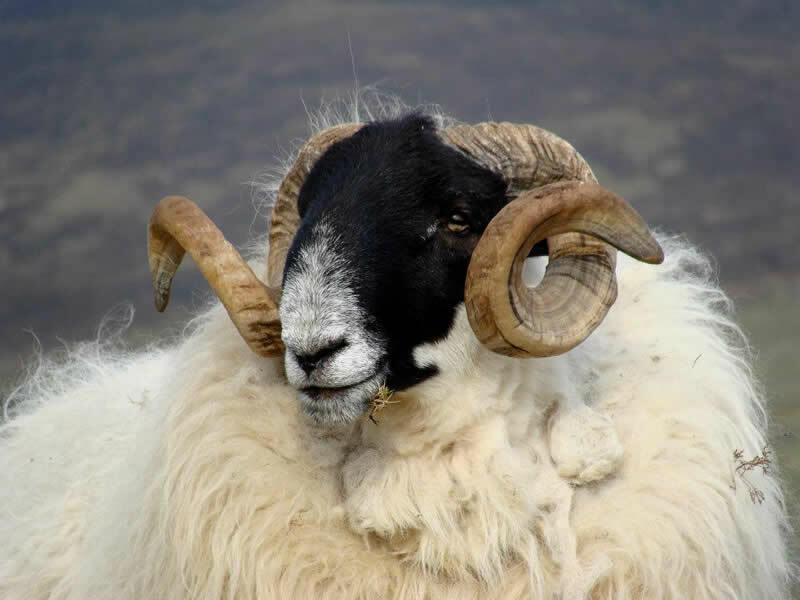 Highlights include: Ulster American Folk Park, St. Aidan's Church, Mussenden Temple, Dunluce Castle, Giant's Causeway, Carrick-a-Rede rope bridge and Glenariff Waterfalls and Park. Flagler Films has partnered up with Goodada to produce videos for their website. Goodada provides companies with the tools and services, which allows them to develop and grow their international trading opportunities. This video explains how it assists companies achieve their digital online strategy and to grow their international trade. Whether it is searching for products or selling products into new international markets. More information at www.goodada.com. 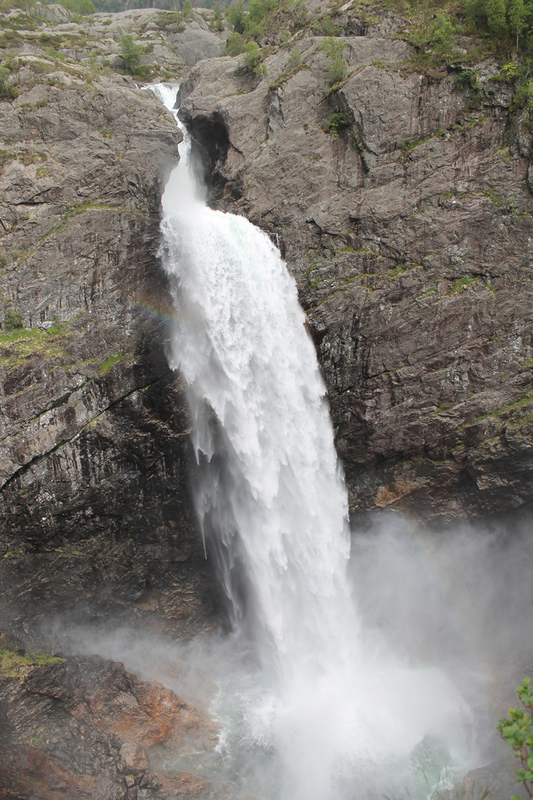 Rogaland County Council in Norway commissioned Flagler Films to produce a video highlighting Rogaland's Methodology to rank the many different types of destinations, area types and suitable users. Flagler Films worked with One Productions in Dublin and Artist Ronan Coyle to deliver this animation video. This is the English version of the video. Flagler Films completes the International Appalachian Trail of Northern Ireland video. 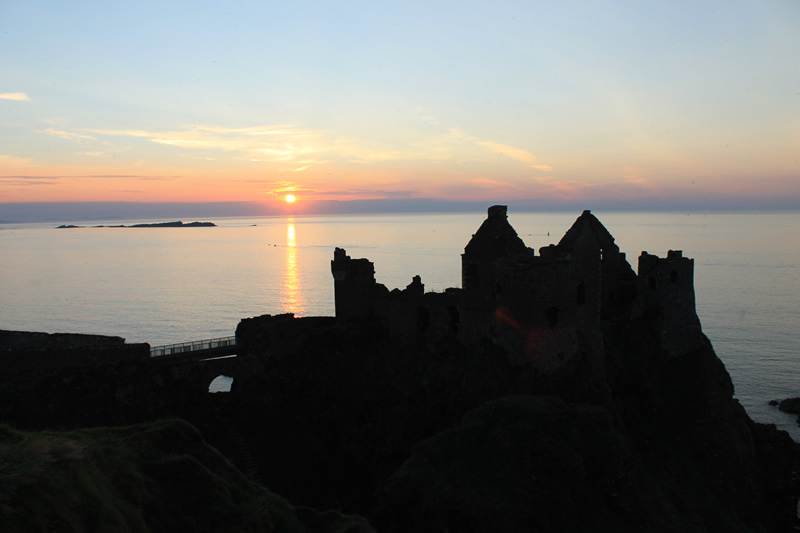 This 2-minute video captures the IAT as it traverses through Northern Ireland. This is the third and final video about the International Appalachian Trail on the island of Ireland that Flagler Films produced for Tourism Ireland. 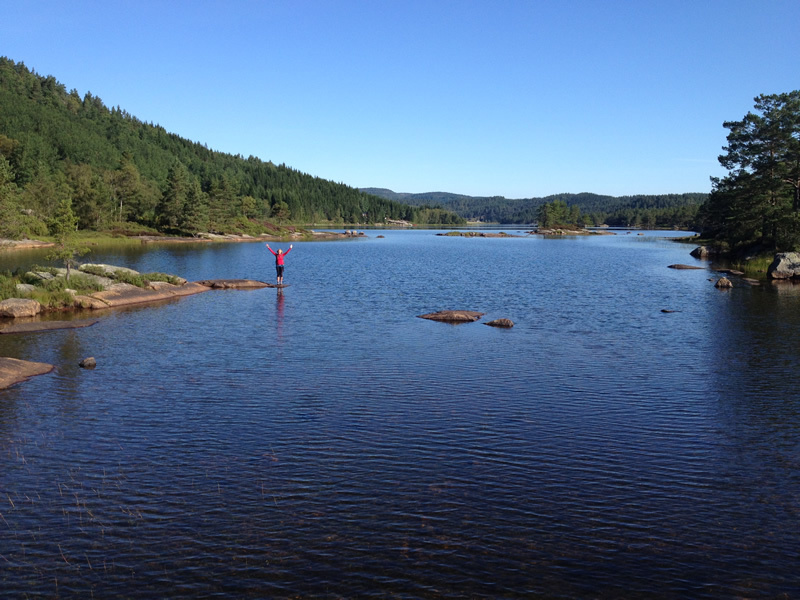 Rogaland County Council in Norway hired Flagler Films to produce a video about Rogaland's Recreation For All. The video highlights the many outdoor recreation destinations suitable for all that can be found in the county. 2015 is the Year of Outdoor Recreation in Norway and this video is an important part to this campaign. This video is the English version. Flagler Films completes the International Appalachian Trail of Donegal video. 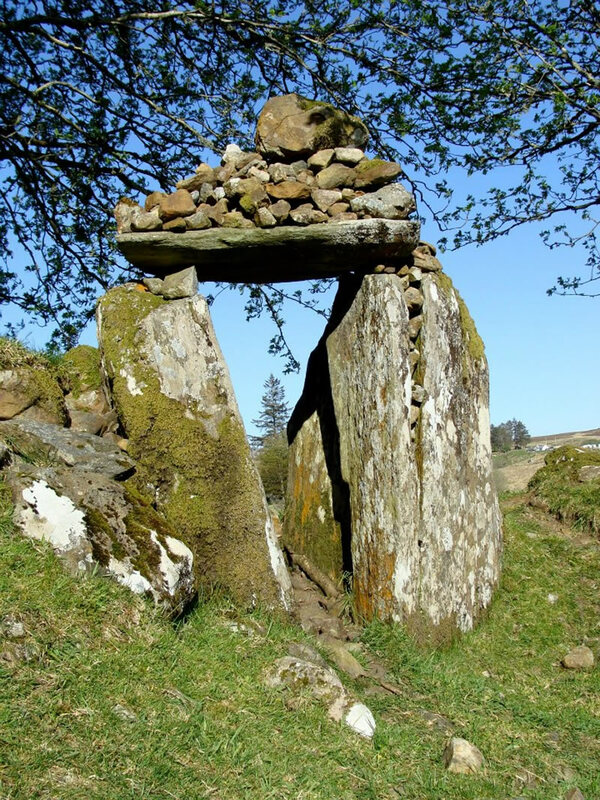 The 2-minute video highlights the IAT route that winds through County Donegal. This is the second video about the International Appalachian Trail on the island of Ireland that Flagler Films produced for Tourism Ireland. 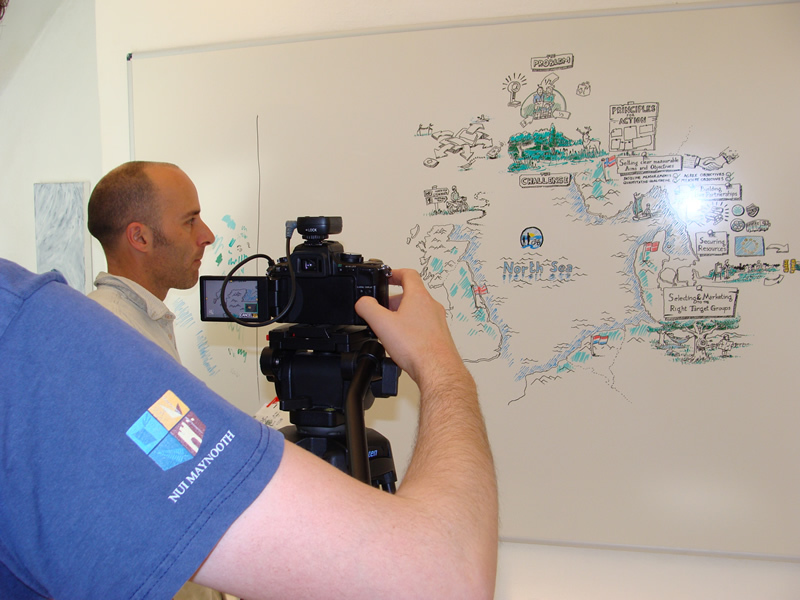 Rogaland County Council in Norway commissioned Flagler Films to produce a video highlighting Rogaland's Methodology to rank the many different types of destinations, area types and suitable users. Flagler Films worked with One Productions in Dublin and Artist Ronan Coyle to deliver this animation video. This video is in Norwegian. English version will be completed in March. 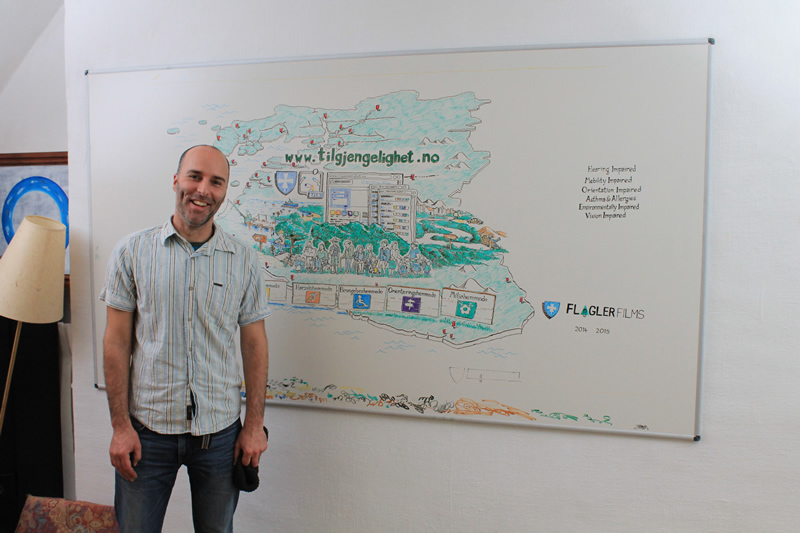 Rogaland County Council in Norway hired Flagler Films to produce a video about Rogaland's Recreation For All. The video highlights the many outdoor recreation destinations suitable for all that can be found in the county. 2015 is the Year of Outdoor Recreation in Norway and this video is an important part to this campaign. This video is in Norwegian. English version will be completed by March. 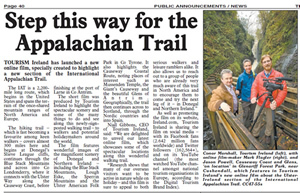 The Ballycastle Chronicle in Northern Ireland published a story about Flagler Films video on The International Appalachian Trail of Ireland. The article provides a good overview about the newly established long-distance walking trail on the island of Ireland. Flagler Films begins production on the animation video for Rogaland County Council in Norway. Mark Flagler hired One Productions in Dublin to handle the production and post-production for the 3.5-minute video. We spent two days capturing the images that the artist, Ronan Coyle, created on the whiteboard. The video will be completed by the beginning of January 2015. 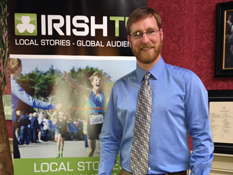 Flagler Films completes video about Ireland's International Appalachian Trail. Flagler Films completes the 2.5-minute video about the International Appalachian Trail on the island of Ireland. 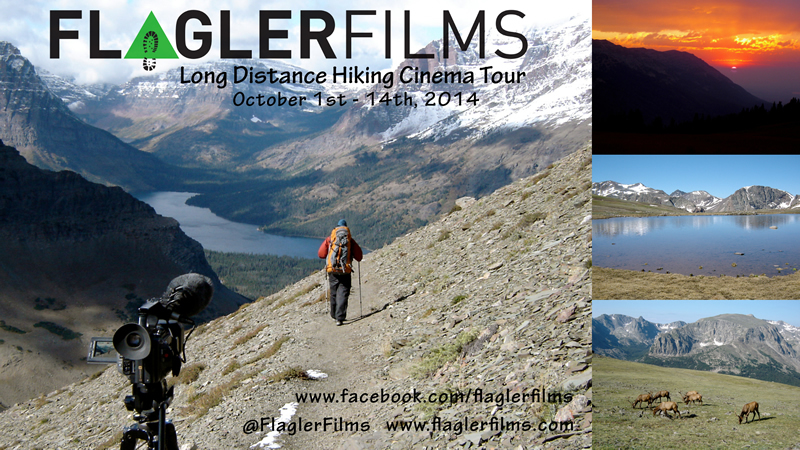 The Flagler Films Long Distance Hiking Cinema Tour finished with over 500 people attending the two films. “Appalachian Impressions” and “Walking the Great Divide” were screened in 8 cities with 13 shows in 14 days. 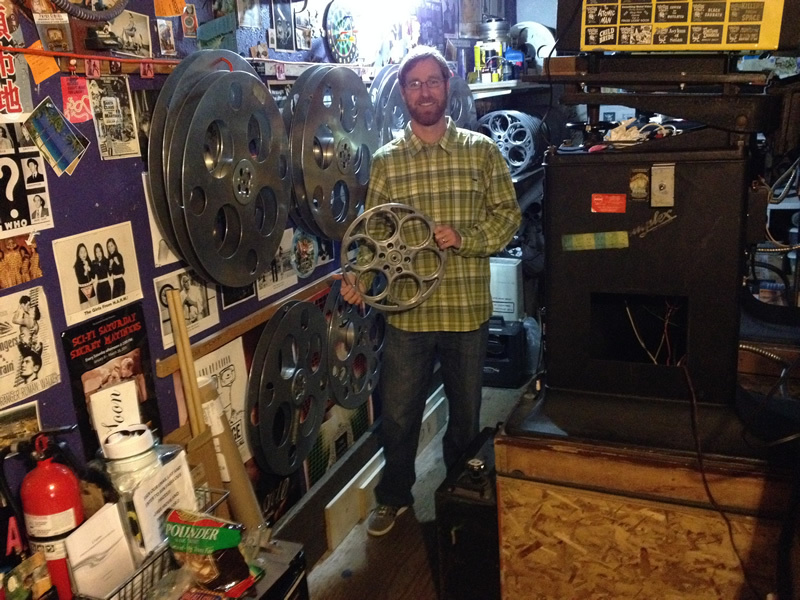 We visited Austin, Laramie, Golden, Santa Fe, Missoula, Seattle, Portland and San Francisco. Thank you to the tour sponsors: Tourism Ireland and Montbell as well as the Appalachian Trail Conservancy (ATC) and Continental Divide Trail Coalition (CDTC) for helping spread the word about the film tour. Next year the film tour will visit the east coast. Follow the tour at https://www.facebook.com/LDHCTour to find out where we will visit in 2015. 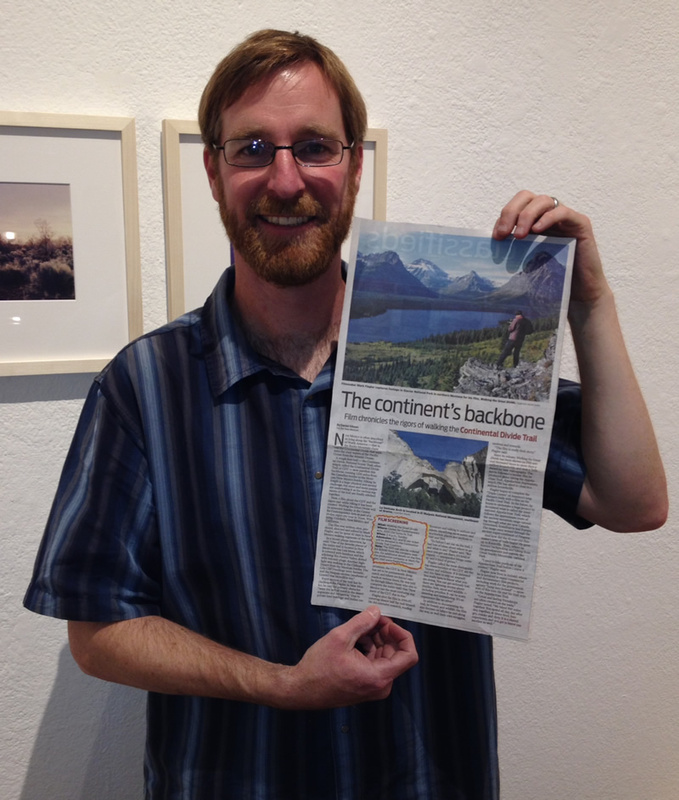 The Laramie Boomerang published a full-page article in the Entertainment section about film tour. The article is titled "Through the Woods". 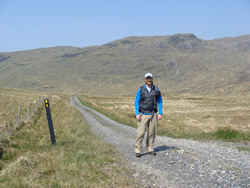 Some of Mark Flagler’s photographs of the International Appalachian Trail in Ireland are published on the www.WalkNI.com. 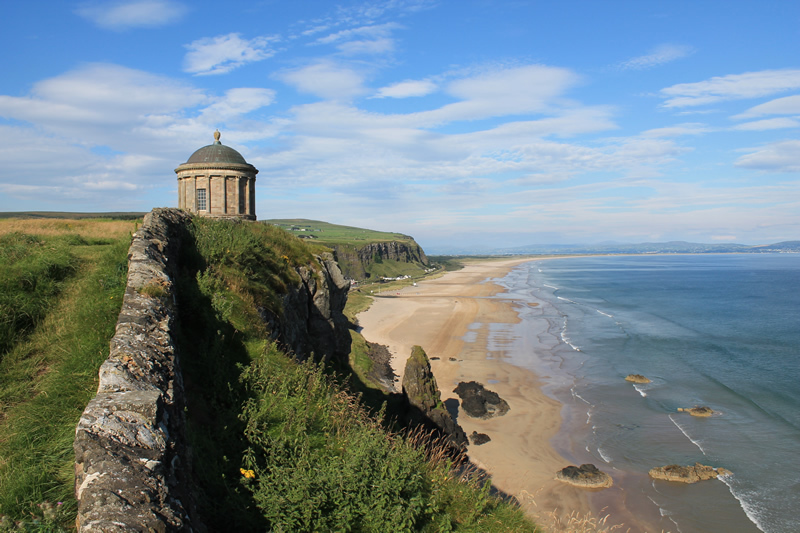 The website is the definitive guide to walking in Northern Ireland. 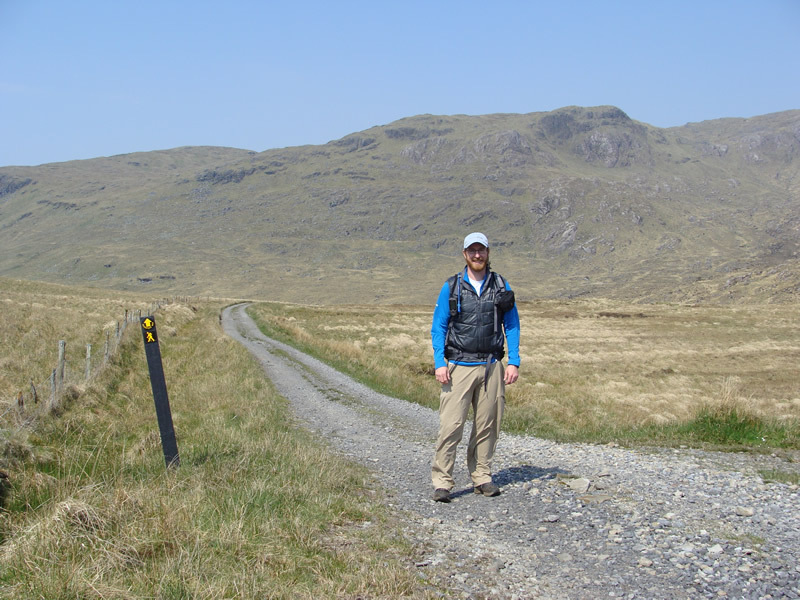 Mark was the first person to walk the entire IAT section in the Republic of Ireland in 2011 and his GPS coordinates are used for the current route and maps. Award-winning filmmaker Mark Flagler takes his two inspirational documentaries on the road to eight cities with thirteen shows in fourteen days. The tour runs October 1st to October 14th, 2014. Celebrate America's National Scenic Trails on the big screen. Come watch the award-winning "Appalachian Impressions: Hiking the Appalachian Trail" about the 2,173-mile world famous Appalachian Trail that travels from Georgia to Maine. 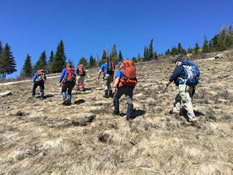 Or join us for "Walking the Great Divide" capturing the 3,100-mile iconic Continental Divide Trail that traverses from Mexico to Canada along the backbone of America. Both documentaries have been broadcast on PBS for years. Come see us in Austin, Laramie, Golden, Santa Fe, Missoula, Seattle, Portland and San Francisco. Purchase tickets HERE (add link to page) or at the door. Seats are limited at some shows. Tickets cost $12 or watch both films for $20 (select venues only). 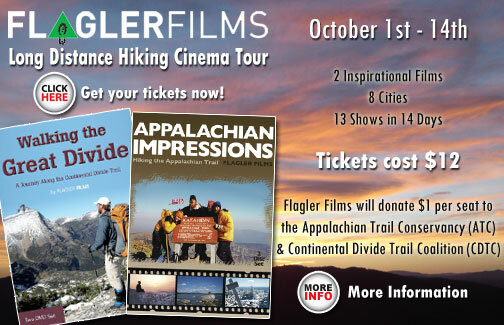 Flagler Films will donate $1 per seat filled to the Appalachian Trail Conservancy (ATC) and Continental Divide Trail Coalition (CDTC). "Walking the Great Divide" is available to PBS stations across America for another 5 years. The documentary was first broadcast in 2009 and American Public Television (APT) has agreed to re-distribute this two-hour program until June 2019. The documentary has already aired over 3,300 times on public television stations reaching 91% of U.S. television households. 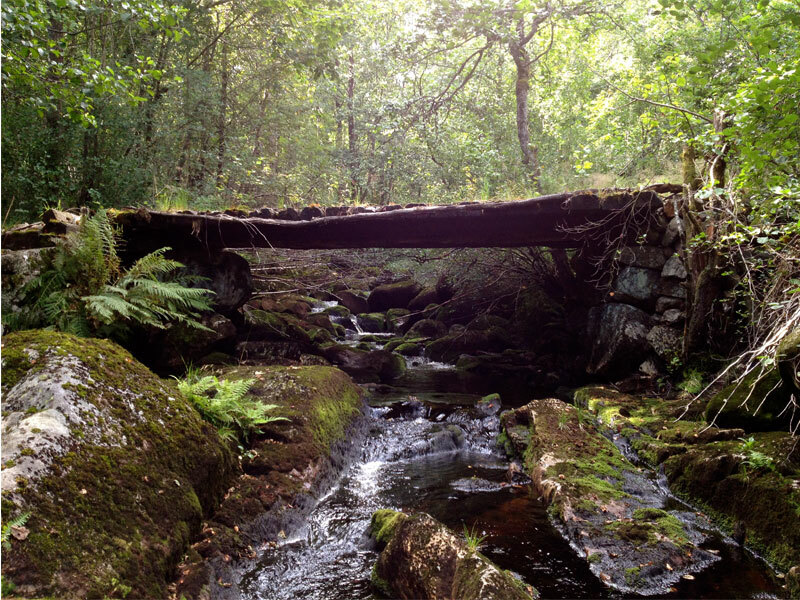 Mark Flagler has begun hiking and filming key sections of the International Appalachian Trail in Ireland. 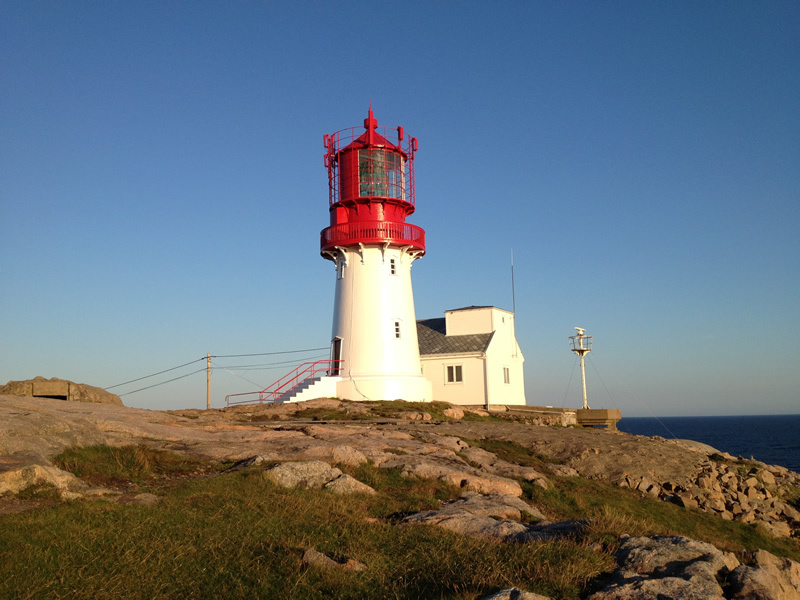 Mark will continue to capture “highlight” areas in Co. Donegal and Northern Ireland into September. 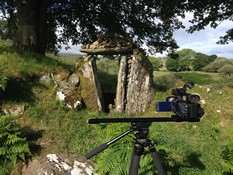 Tourism Ireland hires Flagler Films to produce three promotional videos about the International Appalachian Trail (IAT) in Ireland. Flagler Films will produce an updated 2-minute video about the Republic of Ireland IAT section, a 2-minute video about the IAT section in Northern Ireland and a 2.5-minute video covering the entire IAT route on the island of Ireland. 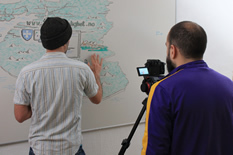 The videos will be completed by October 2014. 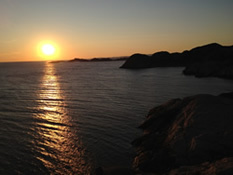 Flagler Films has landed in Rogaland County in Western Norway to begin production of the outdoor recreation video suitable for all. Mark Flagler will spend 16 days filming people enjoying short walks, medium walks, fishing, boating and swimming as well as iconic recreational destinations throughout the county. 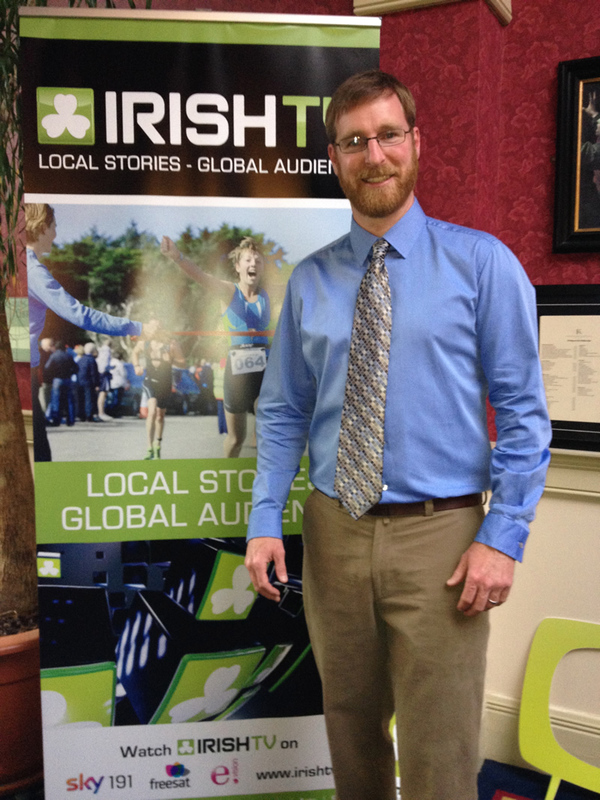 Mark Flagler was invited to the official launch of Irish TV in Westport, Co. Mayo. Irish celebrities, musicians and video production professionals packed the conference room for the live two-hour television show. Irish TV is Ireland’s newest and most exciting live digital media platform. 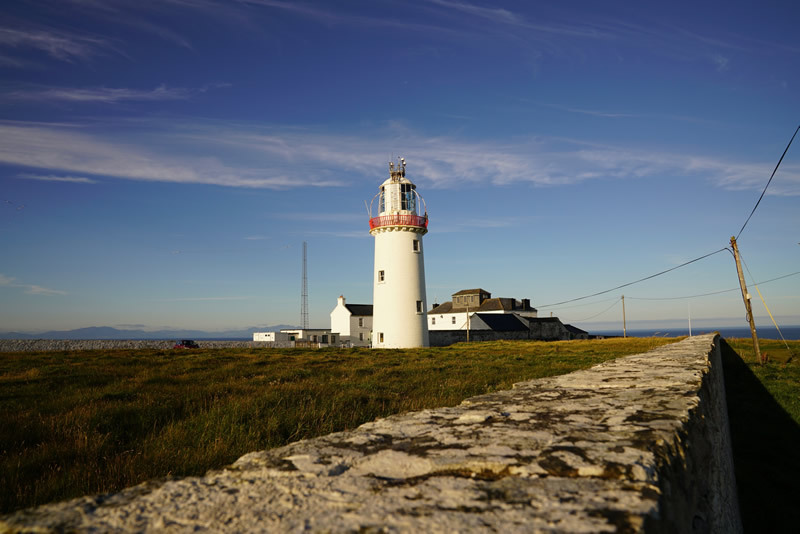 Broadcasting 24 hours a day, IRISHTV.ie is all about connecting Irish communities all over the world and bolstering Irish businesses everywhere. 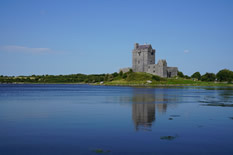 Irish TV promotes Ireland as a wonderful place to live in, to do business and to visit. For more information visit www.irishtv.ie. Rogaland Country Council has hired Flagler Films to produce two promotional videos about outdoor recreation in Western Norway. The first video will focus on the many types of outdoor recreation suitable to all in the region. The second video will be an animation video explaining the grading system used to categorizes the many recreational spots that are 100% assessable to all. The Appalachian Trail Conservancy (ATC) had record-breaking numbers attend the Washington, DC screening of “Appalachian Impressions: Hiking the Appalachian Trail." Over 350 people packed the theatre. The documentary willcontinue to be shown throughout the month of October. 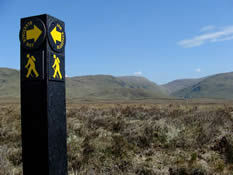 Get Ireland Walking uses Mark Flagler’s photographs of walkers for website, online promotion, brochures and posters. Flagler Films YouTube Channel reaches over 100,000 views since November 2008. An estimated 75,816 minutes have been watched on the 26 uploaded videos. Please visit www.youtube.com/flaglerfilms today! http://www.appalachiantrail.org/promo/2013-membership-drive---journey-of-2000-miles/overview This award-winning program is recognized by many as the best Appalachian Trail documentary ever produced. This new showreel highlights the outdoor recreation and adventure programs of Flagler Films in North America. The images come from television productions, DVD documentaries, online promotional videos and stock footage library. All of these video clips were captured in North America. Flagler Films specializes in programs that take viewers off the beaten path to visit the wild and scenic backcountry found on our planet. 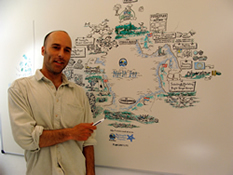 Mark Flagler is a proven expert in producing walking and hiking programs. Walking the Great Divide as been watched by 1,032,000 households in the US from July 2009- February 2013. The two-hour documentary has been broadcast2,829 times over 439 PBS channels on 360 PBS stations. 22% of the broadcast are on Primetime television. Walking the Great Divide is still being aired on PBS stations across America until July 2014. 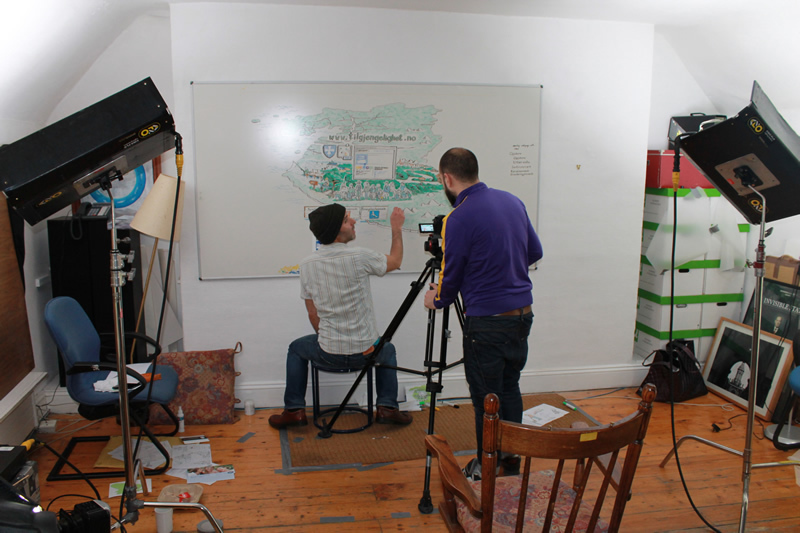 Flagler Films is hired to produce a 3-minute promotional video for the Get Ireland Walking initiative. Get Ireland Walking is a new national initiative which exists to maximize the number of people participating in walking for health, wellbeing and fitness. 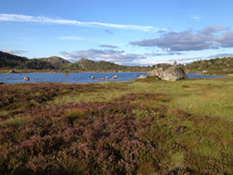 Some of Mark Flagler’s International Appalachian Trail of Ireland and Bluestack Way photographs have been included in an App about walking the Bluestack Way in Co. Donegal. 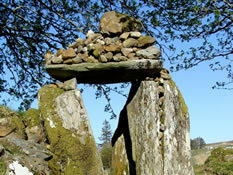 For more information visit: www.navigatour.ie. 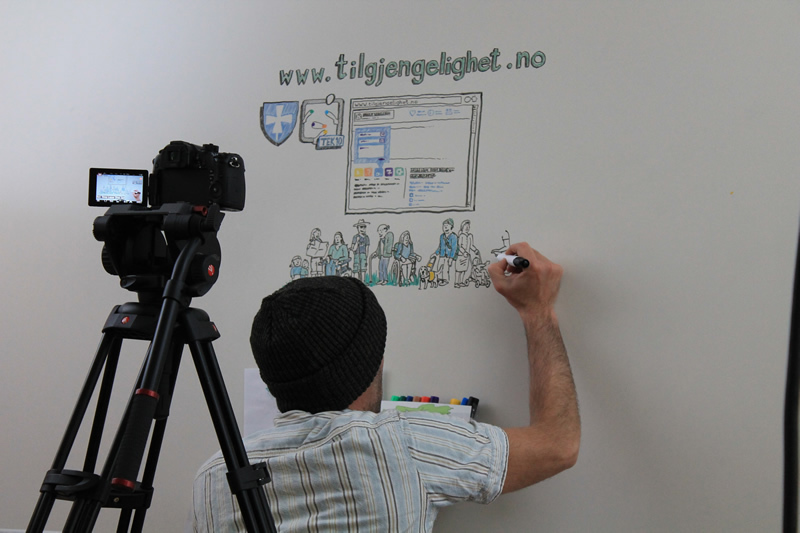 Flagler Films made some changes to the video screened in Bergen, Norway earlier this month. The video is now completed. The Child Wanderer Path has recently become part of the International Appalachian Trail that travels throughout North America and Europe. 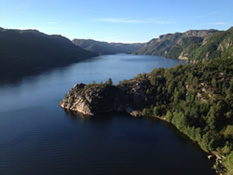 Mark Flagler was asked to attend and present two recently produced Flagler Films videos at the final two-day Coast Alive meeting in Bergen, Norway. MagneHaugseng, the director of Coast Alive, presented The Coast Alive Toolkit Animation and Mark introduced The Child Wanderer Path promotional video.Both videos were well received. This brilliant animation was produced to provide a quick summary of a great project called Coast Alive, that touched so many different aspects of how best to get people to use the Great Outdoors sensibly to achieve a healthier lifestyle. The project partners had a total of 12,000 km of paths all around the North Sea, now they wanted to find ways to persuade people to use them. 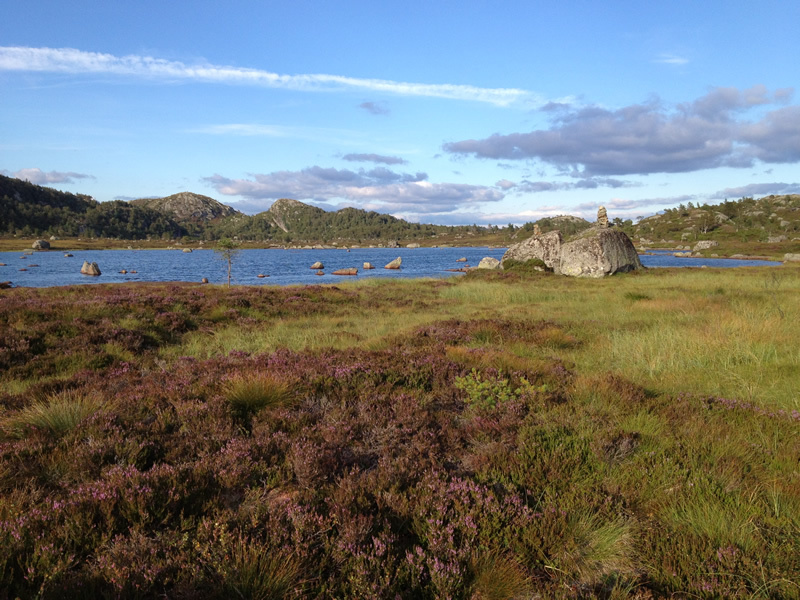 Mark Flagler spent 20 days hiking and filming The Child Wanderer Path in southern Norway. 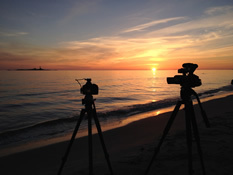 Flagler Films is contracted by West-Agder County Council, Audnedal County Council and Coast Alive to produce a 5-minute promotional video about this scenic and historical footpath. 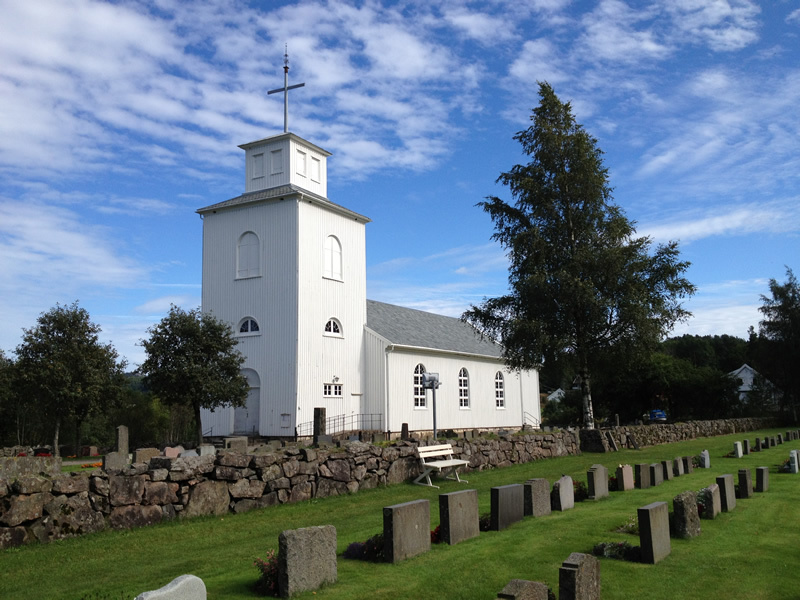 The path travels 136-kilometers through Vest-Agder beginning outside of Kvinesdal and finishing at Landvik church. It is divided into seven sections, crossing nine municipalities and two counties. Markspent 7 days walking/hiking the trail making him one of a handful of people to have hiked the entire path. 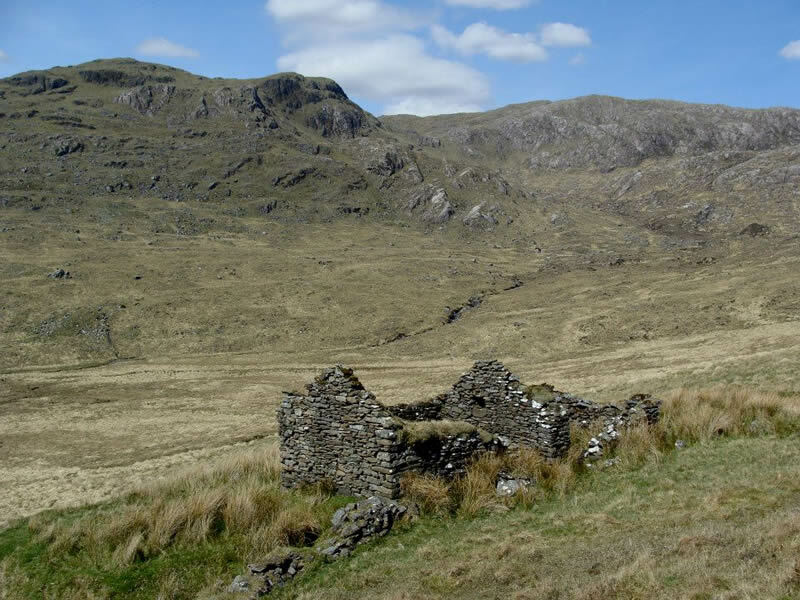 The Child Wander Path: In the 1800`s, up until the early 1900’s, there was extreme poverty in the western part of the Agder-region, and as a consequence children from this area were sent to the richer eastern part of the region to work as shepherds and farm hands. From the age of sixteen and down to even seven years old the children “wandered” back and forth in larger groups, leaving their parents home for months at a stretch to make a vital contribution to the economy of their household. 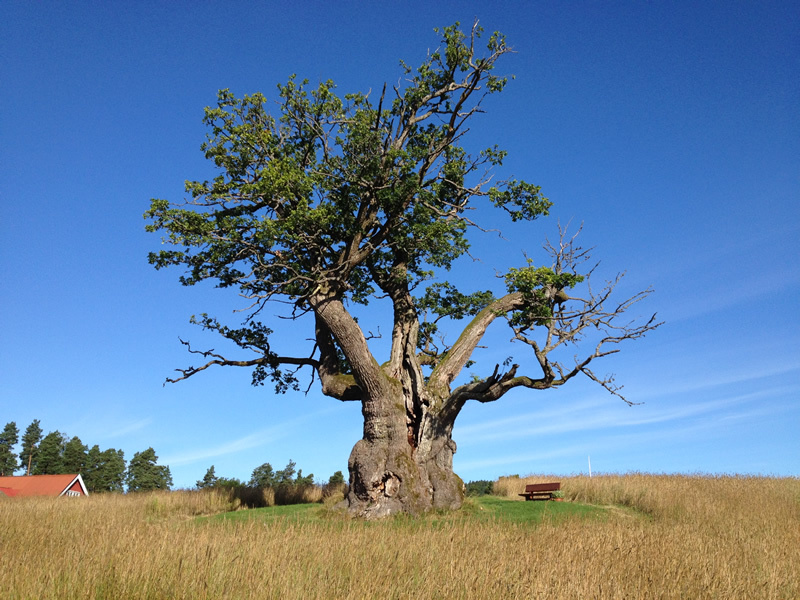 This path follows in their footsteps, crossing the valleys in Agder in what is now perceived as a wonderful landscape, while still giving us an understanding of the harsh reality they lived through over a hundred years ago. 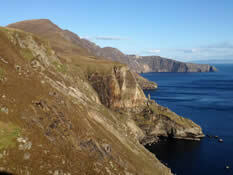 Mark Flagler represents Ireland at International Appalachian Trail AGM in Iceland. Mark traveled to Reykjavik, Iceland to represent the Ireland Chapter of the International AppalachianTrail at the AGM. The gathering included a reception by Luis E. Arreaga the U.S. Ambassador to Iceland on the 15th, the IAT meeting on the 16th and a guided tour through Thingvellir National Park on the 18th. This was the first AGM held outside of North America. 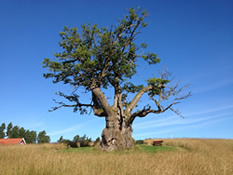 Since the establishment of chapters in Greenland and Scotland in the spring of 2010, this was the first combined meeting of representatives from Europe and North America. The European contingent included participants from the host chapter of Iceland, as well as from Norway, Denmark, the Faröes, England, Scotland and Ireland. The North American group included participants from Newfoundland, New Brunswick and Maine. The Spanish and Quebec Chapters shared reports in advance of the meeting. 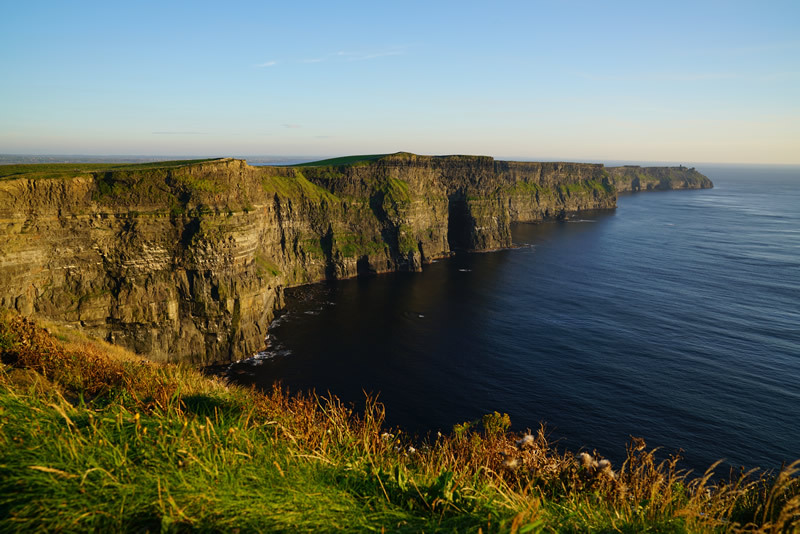 The 6.5-minute promotional video highlights the many special and scenic places found along the International Appalachian Trail in the Republic of Ireland. The newly established trail travels over Slieve League to GleannCohlmCille, then up the coast to Port and along the Maghera Strand to Ardara. 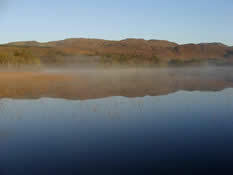 From here the IAT follows paths on the well-established Bluestack Way, along the Owenea River to Glenties, up and over the Bluestack Mountains and past Lough Eske. The IAT leaves the Bluestack Way crossing the N15 east of Donegal town and continues to the Northern Ireland border. Discussions are currently taking place to extend the IAT into Northern Ireland and eventually have the trail travel to the east coast. Someday there will be a route that crosses the entire Ireland of Ireland. 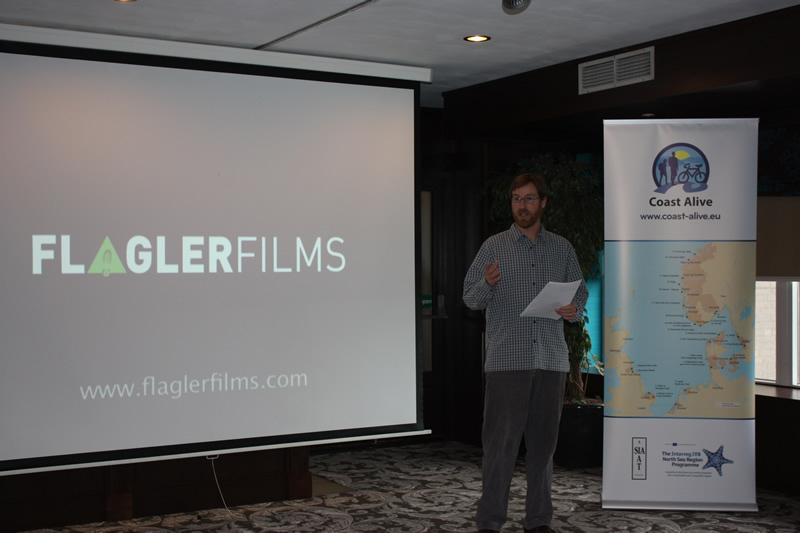 Coast Alive hired Flagler Films to develop and produce a creative promotional video highlighting their “Toolkit” document. This toolkit is the final output of the Coast Alive project, which ran for five years and aimed to explore how to use 12,000km of paths to mobilise people to be physically active. 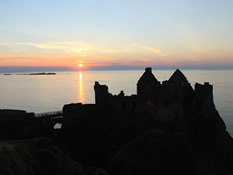 The project was funded by the European Commission under the Interreg North Sea Programme. The 6-minute video will bring to life the 28-page “toolkit” document. 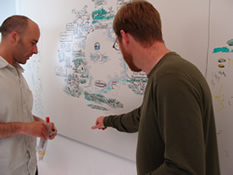 Mark Flagler worked with Dublin artist Ronan Coyle to develop the storyboard and illustrate the images and worked with One Productions to handle the production and post-production services. The video will be completed before the end of October. I was asked to attend and speak at the annual meeting of Coast Alive in Haarlem in the Netherlands that took place from April 17th-19th.The 14 partner regions around the North Sea from five countries attended the meeting. I spoke about my experiences of long-distance hiking, particularly about the Appalachian Trail, and the small businesses that I witnessed during my time out there. I also showed three short videos about the Appalachian Trail, Continental Divide Trail and International Appalachian Trail of Newfoundland & Labrador. Coast Alive is responsible for 12,000km of trails that travel around the North Sea. 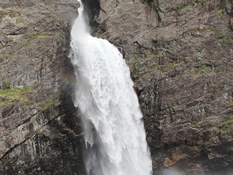 In 2011, Mark Flagler filmed a group of local artists walking along the newly established Overfalls Trail in GrosMorne National Park. 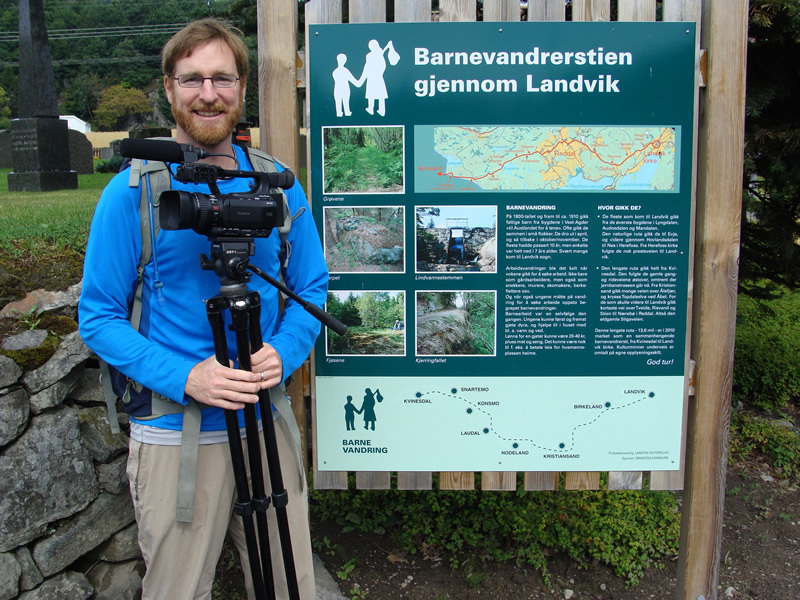 Mark was asked by Parks Canada and the International Appalachian Trail – Newfoundland & Labrador Chapter to edit the video footage for the “2012 Art and Adventure Festival”in GrosMorne National Park. From June 8-10, Parks Canada, IATNL, and Ocean Quest Adventures will be presenting the first Art & Adventure Festival in GrosMorne National Park. The 3-day event will include hooked rug and fine art exhibits and workshops at the park's Discovery Center in Woody Point, zodiac adventures on Trout River Pond, and guided hikes of nearby Overfalls Trail. Mark Flagler traveled to Newfoundland to spend over two weeks hiking and filming along the International Appalachian Trail in Newfoundland. This year Newfoundland saw an incredibly high number of icebergs and Flagler Films wanted to capture this "once in a lifetime" scenery along several key coastal sections of the IAT. 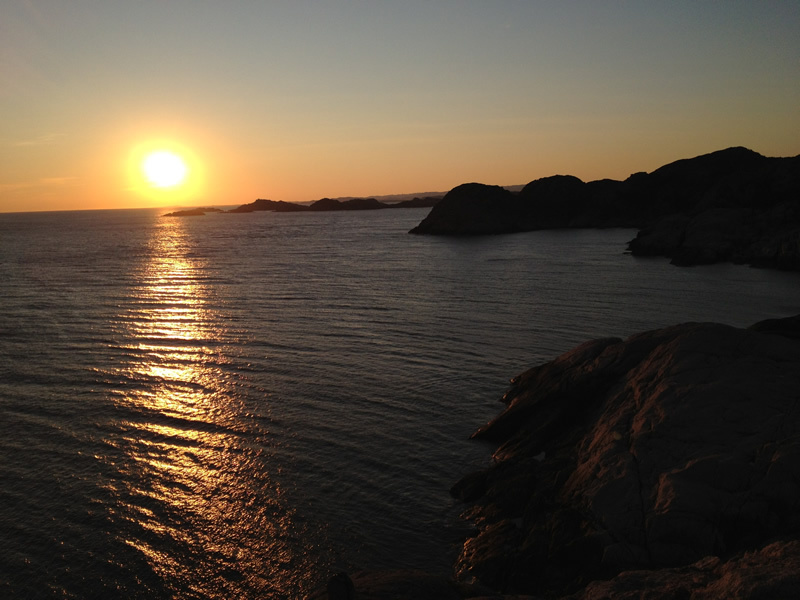 Mark also spent time hiking and filming in Gros Morne National Park. The footage captured will be used in the upcoming hour documentary titled "A Visionary Footpath - The International Appalachian Trail of North America. Dublin & Wicklow Mountain Rescue Team has asked Flagler Films to produce a short promotional video about this important fund-raising event. 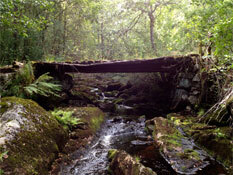 This unique event brings walkers along a 32km route through the Wicklow and Dublin Mountains. The walk begins shortly before nightfall and ends after sunrise in Marley Park in Dublin. The selected route has plenty of challenging and varied terrain but it's achievable by any hill-walker with average fitness. The walk is marked in places with several checkpoints and there are plenty of marshalls out on the hills to ensure no one gets lost. There are experienced rescue and first aid personnel providing cover so walkers can be assured this event will be a safe and enjoyable challenge for hikers of all abilities. This is a fun and adventurous event and the emphasis is on participation rather than finishing first. 300 walkers participated in the even this year. 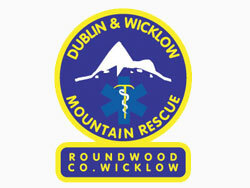 The Dublin & Wicklow Mountain Rescue Team is a voluntary 112/999 rescue service, operating 24 hours a day, 7 days a week, 365 days a year, responding to those who find themselves lost and or injured in the mountains. It costs in the region of €45,000 - €50,000 to run the team every year. Fundraising is a constant challenge for the team and we want to use this event to raise cash for lifesaving equipment and have some fun doing it. 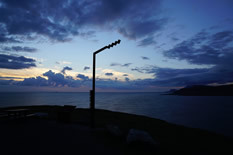 Mark Flagler was contracted to hike, photograph and write about key sections of the Kerry Way. 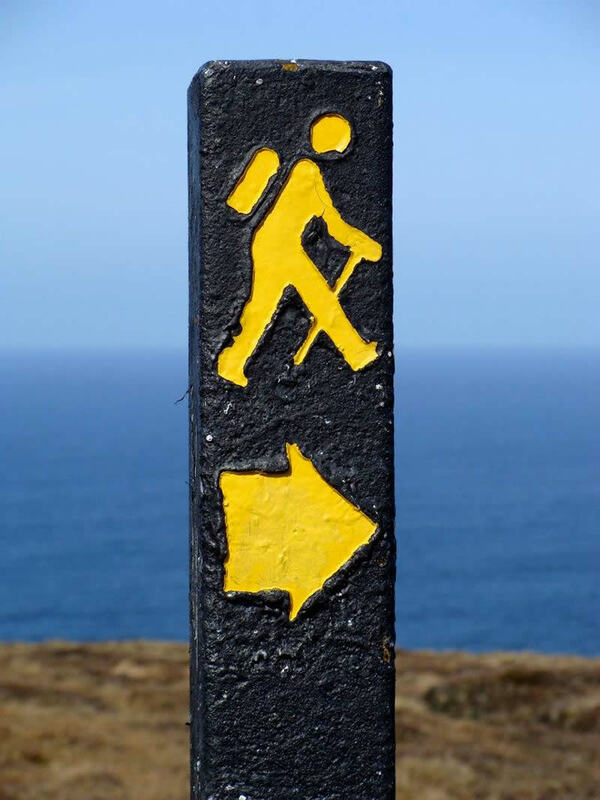 The Kerry Way is one of Ireland's most popular walking destinations. 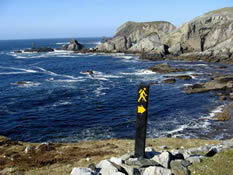 This sign-posted walking trail traverses the Iveragh Peninsula for over 200km (124+ miles). 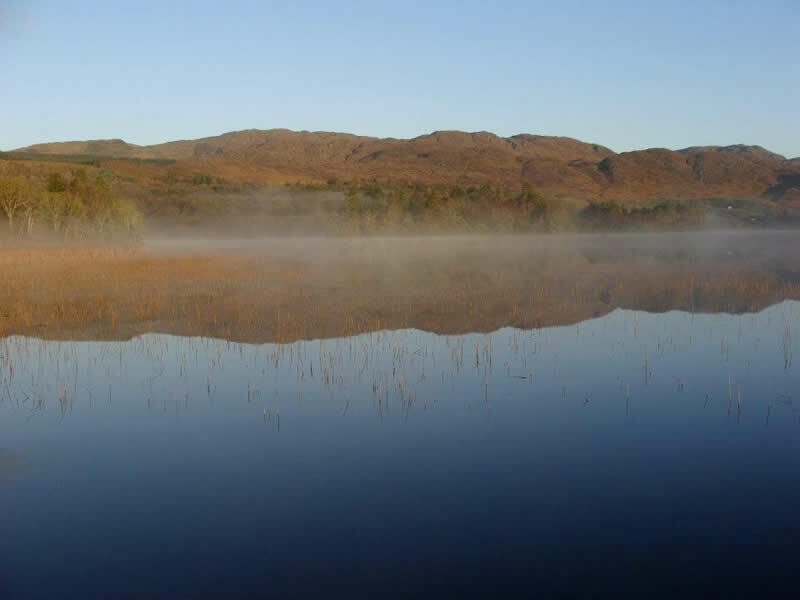 The walk begins and ends in the busy tourist town of Killarney and introduces visitors to some of the most spectacular scenery in the entire country. 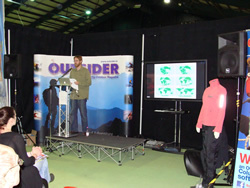 The Adventure Weekend is a three-day show in the RDS highlighting the best Ireland has to offer in outdoor adventure activities. This event will attract upwards of 30,000 active people. Visitors can try over 25 different activities from zip lining to water walkers, see death defying stunts in the Demo Zone, meet leading providers to the adventure industry, get advice and test the latest gear in the Exhibition Zone. Outsider, Ireland’s outdoor magazine, selected 15 outdoor experts and professionals to speak at the ‘Outsider Think Tank’ during the May 20th-22nd event. Mark Flagler was one of the few selected and on Sunday May 22nd, Mark spoke about tackling the Appalachian Trail (AT) and International Appalachian Trails (IAT). 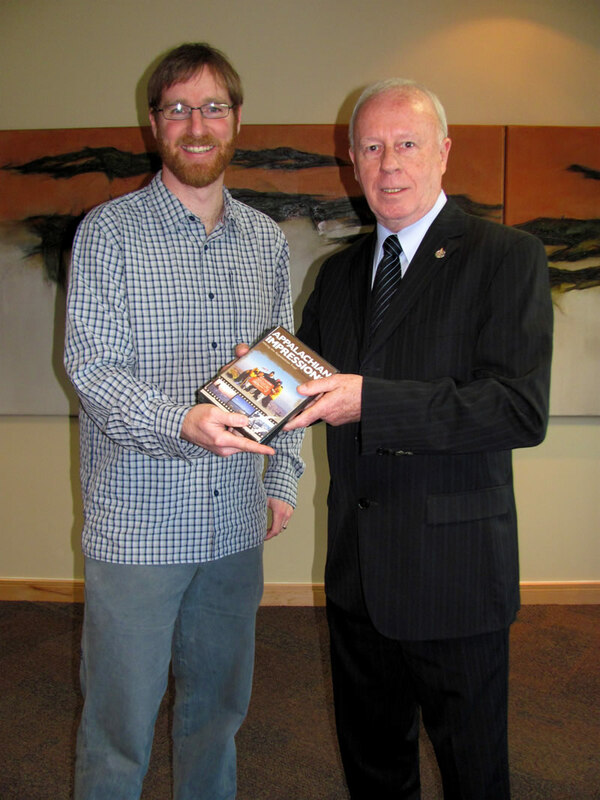 He also showed two short videos from his award winning television programs “Appalachian Impressions” and “Walking the Great Divide.” Mark finsished the presentation showing over 100 photographs of his 119km trek of the IAT route in Ireland. Irish explorer Pat Falvey, Top Irish surfer Richie Fitzgerald, Rock climber Ricky Bell and Adventure athletes Mark Pollock, John O’Regan, Geaorid Towey and Roisin Finlay. Mark Flagler and Flagler Films screens the short, 6.5-minute promotional video about the International Appalachian Trail - Newfoundland & Labarador Chapter followed by the award-winning documentary Appalachian Impressions at the 2011 Trail Days festival. The weekend long event in Damascus, Virginia is one of the most popular hiking and walking festivals in the world. Flagler Films also had a booth selling its Appalachian Impressions and Walking the Great Divide DVDs from May 13th-15th. The festival was a big success and Mark Flagler plans to be back there next year. 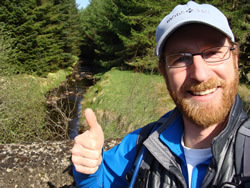 Mark Flagler became the first person to thru-hike the new International Appalachian Trail (IAT) route in the Republic of Ireland. 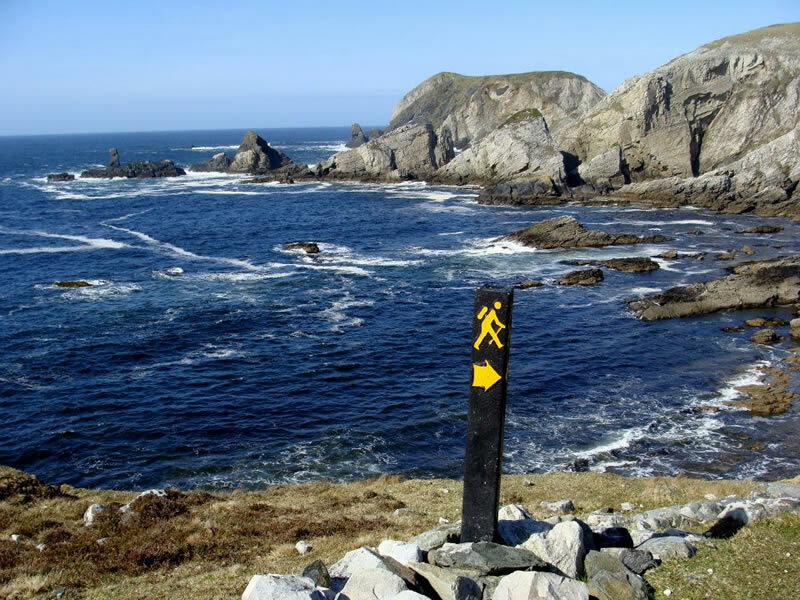 The trail travels 119km across Co. Donegal and traverses through some of the most spectacular scenery in Ireland. I began at the Bunglass car park along the Atlantic Ocean and finished at Kelly’s Bridge at the Northern Ireland Border. 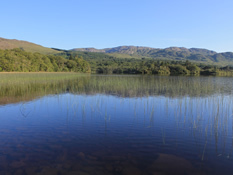 Some of the highlights include: climbing The Eagle’s Nest below Slieve Leauge, coastal path section towards Port, the Maghera Strand, footpath beside Owenea River, the Bluestack Mountains, Lough Eske and the many small towns. The towns visits were a special part of my journey. The locals in town were incredibly courteous and fun to chat with. 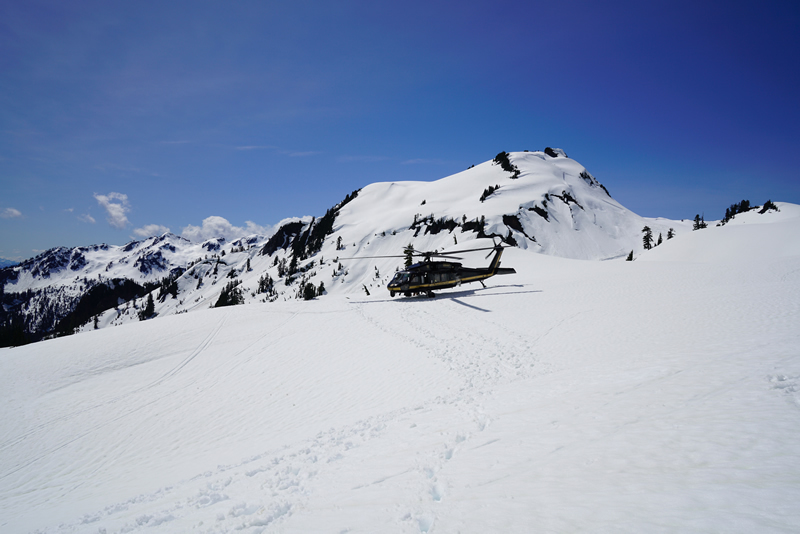 The rugged beauty of the area combined with the hospitable locals makes this one of my favorite treks I’ve ever done. Failte Ireland contracted Mark Flagler to hike, photograph and document the International Appalachian Trail (IAT) in the Republic of Ireland. Mark spent 7 days hiking the 119km route. 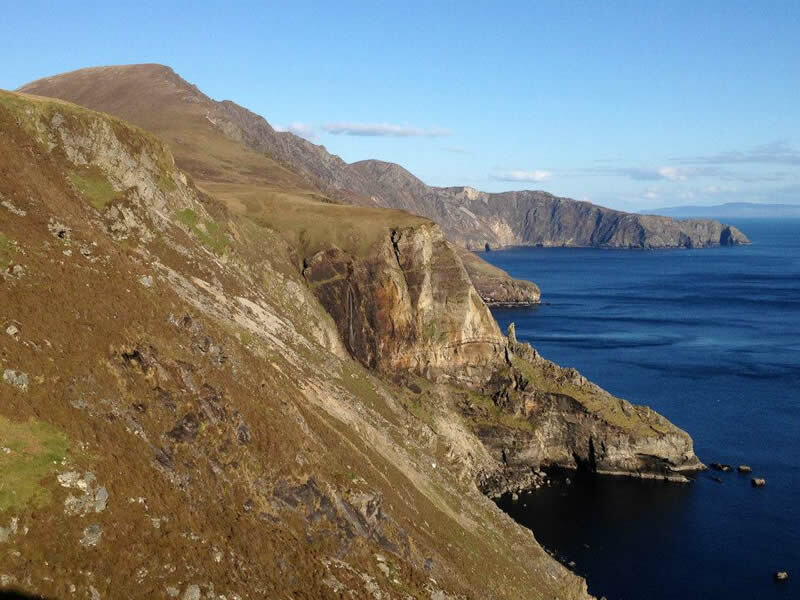 The newly established trail travels over Slieve League to Gleann Cohlm Cille, then up the coast to Port and along the Maghera Strand to Ardara. 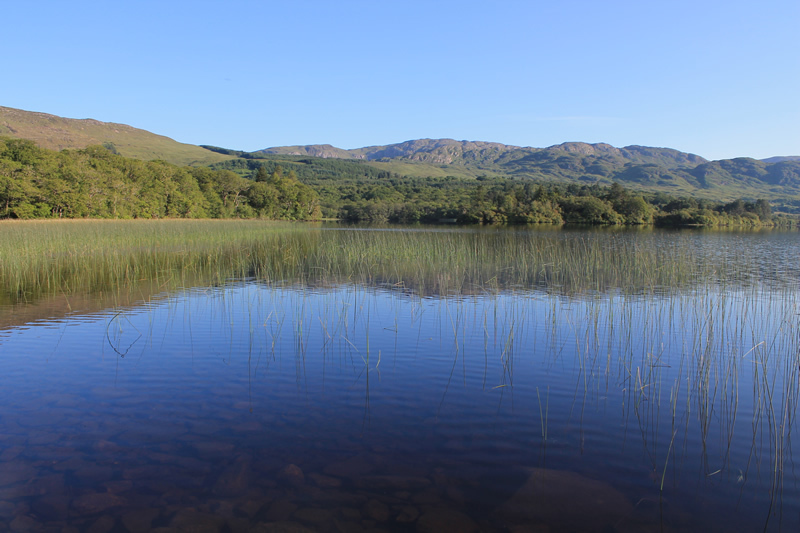 From here the IAT follows paths with the well established Bluestack Way along the Owenea River to Glenties, up and over the Bluestack Mountains and past Lough Eske. The IAT leaves the Bluestack Way crossing N15 east of Donegal town and contines to the Northern Ireland border. Discussions are currently taking place to extend the IAT into Northern Ireland and eventually have the trail travel to the east coast. Someday there will be a route that crosses the entire Ireland of Ireland. The photographs and written descriptions will be used for web and other publications to help promote the IAT in Ireland and walking destinations in Donegal. Mark will be hiking and documenting other long-distance trails in Ireland later this summer. 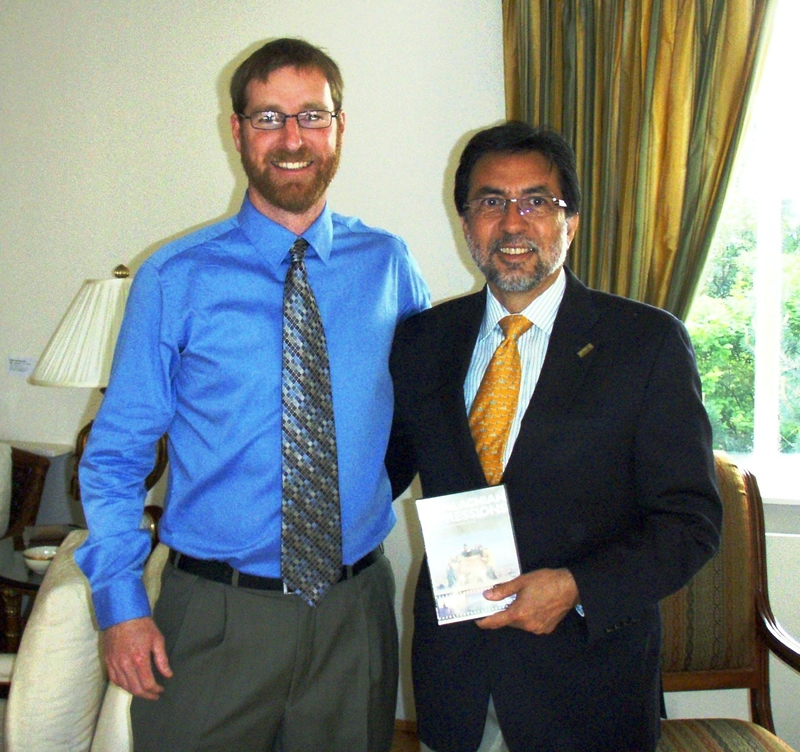 On March 18, 2011 Mark attended the International Appalachian Trail – Ireland Chapter meeting at the Canadian Embassy in Dublin, Ireland. Loyola Hearn, the Canadian Ambassador to Ireland met with the group to discuss the location of the IAT route in Ireland and why this trail should be established. We also discussed the possibility of extending the trail into Northern Ireland making a walking route that crosses the entire Island of Ireland. Mark Flagler was part of the discussions and he also filmed part of the meeting to document the occasion. Organizations in attendance were Flagler Films, Failte Ireland, Irish Sports Council, National Trails Office, Dept of Foreign Affairs, Donegal Local Development Company and Hordal County Council in Norway. I am happy to confirm the work of Mark Flagler of Flagler Films during an official meeting of the International Appalachian Trail held at the Canadian Embassy in Dublin, Ireland in March 2011. I was pleased with the work of Flagler Films and happy to confirm Mark and his organization as professional and well prepared for such enterprises. Flagler Films is hired to produce, shoot, design graphics and edit promo video for Health Trace. Health Trace is a RFID-based solution specifically for the health care industry. A fully automated blood tracking and monitoring system, Health Trace uses RFID technologies, reduces operational costs and improves patient care. With an ability to monitor blood temperatures during transport and storage, Health Trace sets a new standard for asset tracking within the health care industry. Simple to use even in the most complex environments, Health Trace provides safety, security and peace of mind while enabling your organization to improve patient care. The company hired Flagler Films to produce, shoot, design graphics and edit the short 4-minute promotional video. Paul McGann, Sarah Lynch & Jane McGann perform songs from their debut albums in the Sugar Club, Dublin on 11th November. Wayne Sheehy produced the three albums. He also performed with his band and all three artists on the night. Mark Flagler captured this memorable live event in front of a packed house of friends and fans. Their CDs are now available: Backyard by Jane McGann, No Turning Back by Paul McGann and Letter to Friends by Sarah Lynch. Watch Jane McGann performing live "Backyard"
Watch Paul McGann performing live "Fallen Unaware"
Walking the Great Divide – A Journey Along the Continental Divide Trail has now been watched by 884,034 US households. 252 PBS stations have aired this inspirational documentary reaching over 70% of the US population. The two-hour program was first aired in July 2009 and will continue to be broadcast on PBS stations until 2014. Friday 1st October 2010, was Ireland’s National Day of Volunteering organized by Volunteer Centres Ireland (VCI). To celebrate, at 11am on the day itself, 100s of over-55s participated in flashmobs around the country. Flagler Films was responsible for capturing the creative flashmob dance at Heuston train station in the capital city of Dublin. Generally undertaken by younger people, these flashmobs comprised mostly of older people and drew attention to the significant contribution older people make as volunteers in Irish society. Older people bring significant life experience and valuable skills to bear on their volunteering. The beneficiaries of this enthusiasm and commitment are the thousands of community and voluntary organisations older people volunteer with and the thousands more individuals and causes with which they volunteer. 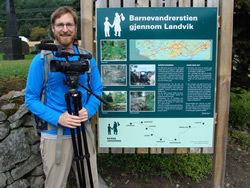 On September 7, 2010 Mark Flagler showcased his video about the International Appalachian Trail – Newfoundland & Labrador Chapter at the IAT Europe meeting in Aviemore, Scotland. Mark is planning on producing a three-hour television and DVD series about the International Appalachian Trail during 2011-2012. The IAT has now crossed the Atlantic entering into Iceland, Norway, Ireland and beyond. Stay tuned for progress on this project. On July 1st, 2010 Mark Flagler passed the Apple Certified Pro exam for Final Cut Pro 7 making him an Apple Certified Pro in Final Cut Pro 7, level one. On June 25th, 2010 Mark Flagler passed the Apple Certified Pro exam for Motion 4 making him an Apple Certified Pro in Motion 4, level one. On April 30, 2010 Walking the Great Divide Part 2 was the highest rated primetime show on Nashville Public Television (WNPT). The hour-long program recorded a 1.3 rating and continues to be successful in PBS stations across the country. On Friday January 15, 2010 Appalachian Impressions (Part 2) recorded a 4.1 television rating on Nashville Public Television making it the highest rated program that Friday on all US Public Broadcasting Service (PBS) stations. The second highest TV rating for that day was a 2.1. Appalachian Impressions: Hiking the Appalachian Trail" has been broadcast on PBS stations across the country since 2004. This popular TV and DVD program is about the world famous Appalachian Trail that stretches 2,173-miles from Georgia to Maine. This award-winning program is recognized by many as the best Appalachian Trail documentary ever produced. Flagler Films has been hired to produce several more short videos highlighting key sections of trail found along the International Appalachian Trail – Newfoundland & Labrador Chapter. Mark Flagler already produced a 6.5-minute introductory movie about the IATNL in September 2009. The newer videos will run 60-90 seconds each and will provide viewers the opportunity to experience more of this International trail. The videos will be available on the IATNL’s website as well as www.youtube.com in the near future. 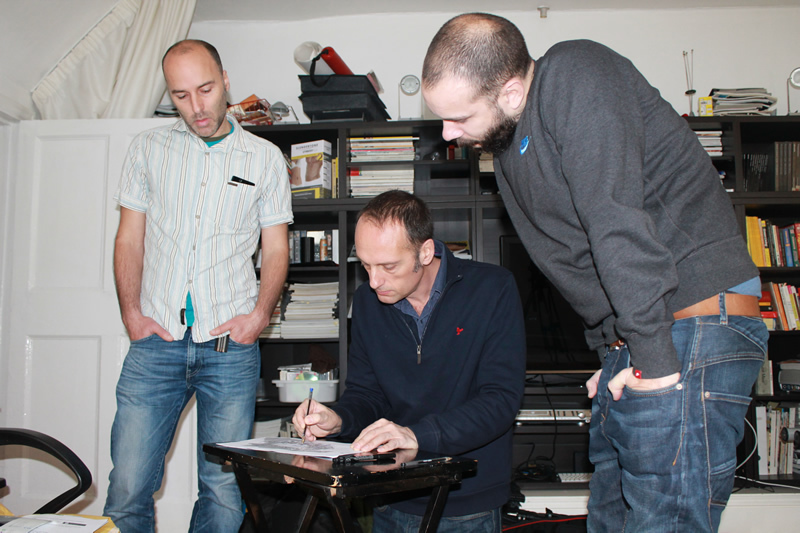 Mark Flagler was hired to edit a 30-second TV commercial about a horse named “Namid” to be broadcast on the popular French horse racing channel Equidia. The television ad is schedualed to be aired for several months. In October, Mark Flagler was hired by Adsell productions to film and edit ‘The Wardrobe’s’ 20th Birthday Celebration fashion show in Mullingar, County Westmeath, Ireland. The fashion show is recognizing the store “The Wardrobe” for 20 years of success. 15 close friends of the store owner dressed in the latest fashions and hit the catwalk in front of a packed house. In the first three months of airing on television, Walking the Great Divide – A Journey Along the Continental Divide Trail is watched by 600,000 US households. 205 PBS stations have aired this inspirational documentary reaching 65% of the US population. The two-hour program was first aired in July 2009 and will continue to be broadcast on PBS stations until 2014. Flagler Films is hired to produce and edit the 2010 Derrinstown Stud Promotional DVD. This 30-minute DVD program showcases the world renowned Derrinstown Stud in Maynooth, County Kildare in Ireland. Derrinstown was purchased in 1982 and has developed from a 375 acre farm to over 2,000 acres today. The Derrinstown group now consists of ten farms, all designed and purpose-built to the highest standard. Derrinstown has a resident vet and 90 staff, most of whom have been internationally trained. There are seven stallions on the farm, all of whom performed to the highest level on the race track. Derrinstown offers a policy of quality service coupled with good value in their stallion fees, while at the same time limiting the number of mares their stallions cover. "Appalachian Impressions – Hiking the Appalachian Trail" has been rebroadcast by NETA to PBS staions for an additional three years. Appalachian Impressions was first broadcast by NETA in 2004 and has reached over 105 PBS stations across America. This two-hour program will continue to air on PBS stations until 2012. This award-winning program is recognized by many as the best Appalachian Trail documentary. The Newfoundland and Labador chapter of the International Appalachian Trail selected Flagler Films to produce an introductory movie about the IAT – Newfoundland & Labador Chapter during September & October ‘09. 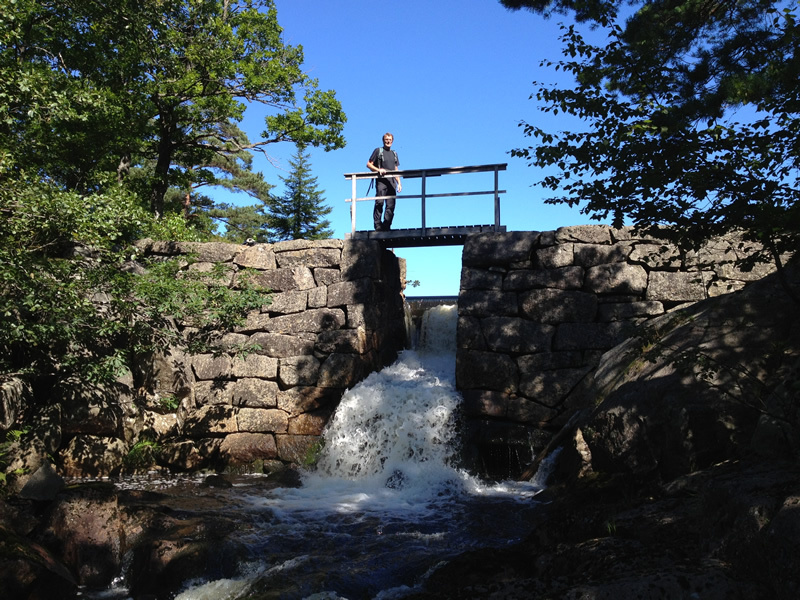 The short video provides na overview of the scenic International trail that travels from northern Maine in the US to Canada’s most easterly province. 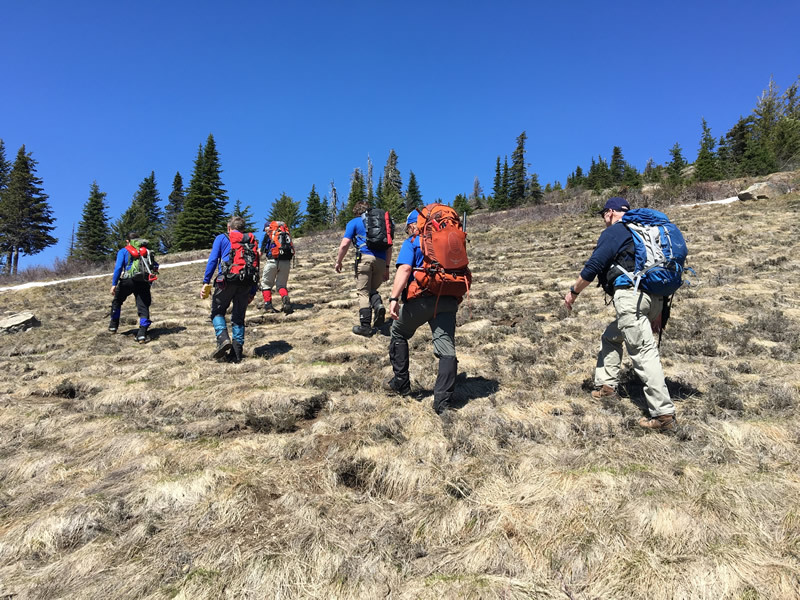 The program focuses on the 1,200 km route of completed and proposed trails found in the province of Newfoundland and Labador. It highlights the magestic scenery, cultural treasures and natural wonders found along this visionary footpath. The trail connects countries, provinces, mainlands and islands. This is a true international backcountry experience. 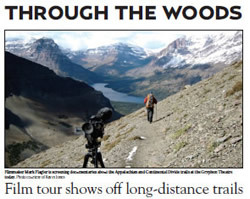 Flagler Films plans to produce an hour-long TV and DVD program about the entire International Appalachian Trail in the summer of 2010. The International Appalachian Trail is a continuation for the world famous Appalachian Trail that stretches 2,175 miles from Georgia to Maine. The original Appalachian Trail system was given a new perspective in 1994 by former Maine Governor Joseph E. Brennan, who envisioned a trail extending to all Appalachian regions of North America. As a result of his efforts, the Sentier International des Appalaches / International Appalachian Trail (SIA/IAT) was formed. 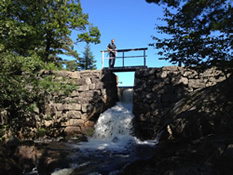 Currently the trail extends north from Mount Katahdin, Maine (the northern terminus of the AT) and crosses the Canadian-American border at Perth-Andover, New Brunswick. From there it crosses New Brunswick to Quebec's Gaspé Peninsula, where it follows the Chic-Choc Mountains to Cap Forillon in Forillon National Park. From Cap Forillon the IAT route re-enters New Brunswick and crosses the Confederation Bridge to Prince Edward Island where it runs east to Woods Island and the ferry to Pictou, Nova Scotia. Once in Nova Scotia the IAT heads east to Cape Breton, then on to the Newfoundland ferry terminal at North Sydney. In Newfoundland the IAT route extends north from Port aux Basques to Crow Head at the tip of the Great Northern Peninsula. The Newfoundland and Labrador Chapter of the SIA/IAT was formed at a general meeting held in Corner Brook on July 4, 2003. 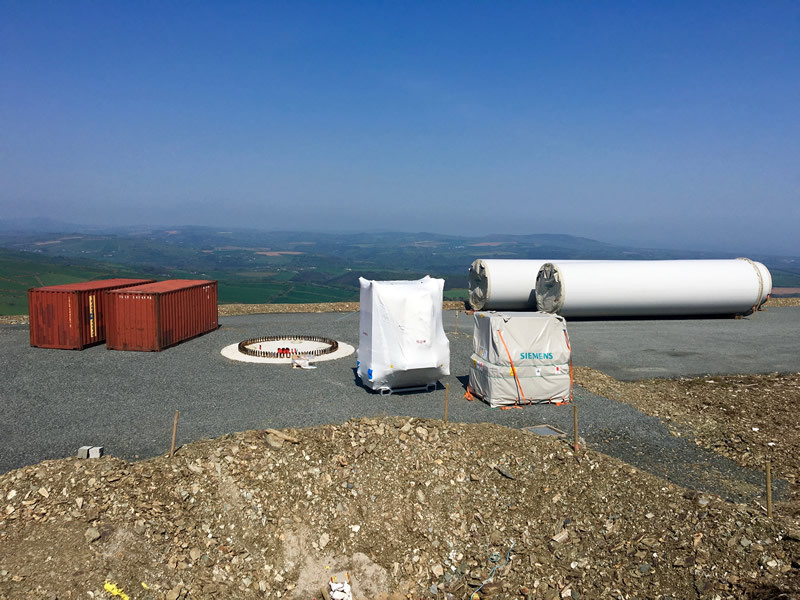 The goal of the Chapter is to extend the SIA/IAT an additional 1,200 km along the Long Range Mountains from Port aux Basques in southwestern Newfoundland to Crow Head (just east of L'Anse aux Meadows) at the northern tip of the Great Northern Peninsula. In July, Walking the Great Divide – A Journey Along the Continental Divide Trail is selected by American Public Television (APT) to broadcast the two-hour documentary to PBS stations nationally. American Public Television (APT) develops and delivers valued program choices and services in partnership with America's public television community. For more than 48 years, American Public Television has been a prime source of programming for the nation's public television stations. With more than 10,000 hours of available programming, APT identifies innovative programs and creative distribution techniques for producers. In four decades, we have established a tradition of providing public television stations with the choices that enable them to strengthen and customize their schedules. Each year, we distribute more than 300 series and specials in a variety of genres including documentary, cooking and lifestyle, travel, feature film packages, drama, music and entertainment. Walking the Great Divide will be broadcast on PBS stations until 2014. Check with you local Public Broadcast Station for airing information. Mark Flagler is hired to edit the 2009 Derrinstown Stud Yearlings DVD and video. The three-hour program highlights the 100+ yearlings found at Derrinstown Stud in Maynooth, Country Kildare in Ireland. Mark Flagler was hired to edit 10 cooking videos of acclaimed Irish chief Kevin Dundon for a new website www.saveafewbob.ie. The recipe videos demonstrate the many cooking occasions including: family home cooking, healthy kids meals, dinner parties and special desserts. Save A Few Bob.ie offers ‘value conscious’ consumers a unique reference point for obtaining best value across everyday products and services. We believe that the majority of Irish consumers could save hundreds or thousands of euro each year if they had easy access to reliable ‘value information’. Through independent research and expert editorial, we guarantee tangible savings for customers. Save A Few Bob.ie offers practical ways to save money on everyday expenditure in the following categories: Personal Finance, Family Spending, Lifestyle, Health & Beauty and Technology. Save A Few Bob.ie is not about frugality. 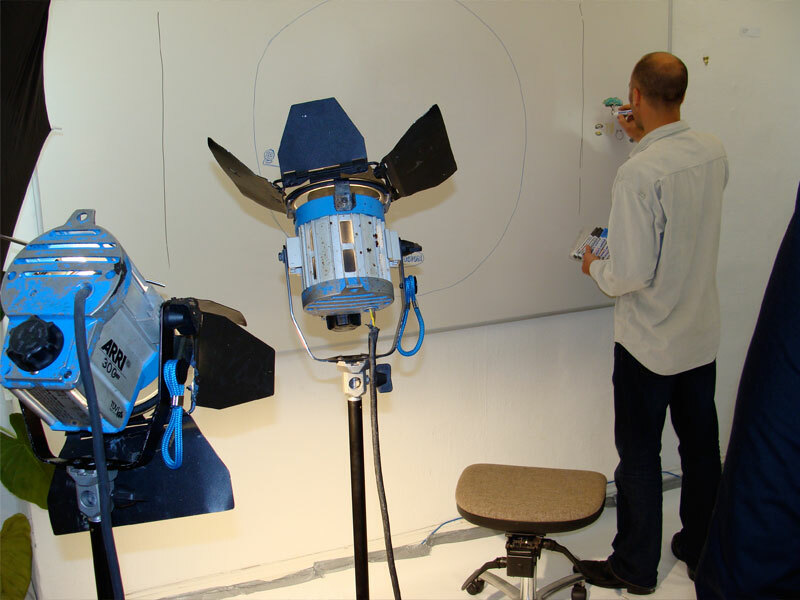 Our aim is to make it easy for you to find good value without sacrificing quality or service. In May 2009 the 30-minute children’s educational program titles “Hard Workin’ Wheels – In Your Neighborhood” was selected for distribution by the National Educational Telecommunications Association (NETA) to PBS stations. NETA is a professional association that serves public television licensees and educational entities in all 50 states, the U.S. Virgin Islands, and Puerto Rico. They serve by connecting people and ideas, by providing quality programming, educational resources, professional development, management support, and national representation. Walking the Great Divide screens at 2008 Trail Days, Damascus, VA.
Mark Flagler travels across the Atlantic to screen his new documentary, Walking the Great Divide – A Journey Along the Continental Divide Trail, at Trail Days, Damascus, Virginia. The world famous hiker festival called “Trail Days” is held each year in May in the Appalachian mountain town of Damascus, Virginia. The festival celebrates the Appalachian Trail and the current, former and aspiring hikers who converge at the festival each year. Trail Days is a riot of color and activity with music, children's games, a whacky hiker parade, a hikers' talent show, people watching, bike rides, hikes, workshops, lots of food, and other family-friendly activities. All this and more makes Trail Days one of the most popular hiking festivals in the world. Walking the Great Divide – A Journey Along the Continental Divide Trail was screened at Trail Days on Friday May 16th and Saturday 17th 2008, at 7pm at the town Youth Center. Sponsors, Casio Pathfinder, provided snacks and refreshments at both screenings. An excited audience packed the house both nights. Flagler Films hosted a booth at the festival throughout the weekend selling Appalachian Impressions and Walking the Great Divide DVDs. Mark Flagler had help from friend’s Joe Kelliher and Kevin “Karma” Jones. Mark Flagler is hired to direct and film a segment for RTE’s weekly “Capital D” series. On March 6, 2008 the “Tassel Club” program aired on RTE. RTÉ is Ireland's national TV station. It’s popular weekly program called “Capital D” features the people and places of Dublin, which make it the captivating capital of Ireland. Mark Flagler’s “Capital D” segment showcases the Tassel Club and its ever-evolving group of performers who create unique vaudeville, Burlesque & cabaret shows. The Tassel Club was started by journalist and production manager Sara Colohan in 2003. Inspired by a bygone era, Sara produces a string of sell out shows every few months to showcase the club's unique acts including a Can Can troupe, contortionists and vintage burlesque striptease performers along with bands, singers and comedians. See the entire video segment. REI screens Walking the Great Divide (Part 1) at Denver and Boulder stores in CO. Soon to be broadcast on television, join REI and the Continental Divide Trail Alliance for the Colorado premier of Walking the Great Divide. The program will feature the first hour of this historic documentary on the Continental Divide Trail. Award-winning film producer Mark Flagler set out to do something that no one has ever done before: create a comprehensive documentary of the official Continental Divide Trail and broadcast it on television. Walking the Great Divide A Journey along the Continental Divide Trail is a two-hour program about this 3,100-mile National Scenic Trail that stretches from Mexico to Canada. The screenings will feature the first hour of this documentary and a five-dollar donation is requested. Follow Flagler as he travels along the CDT. 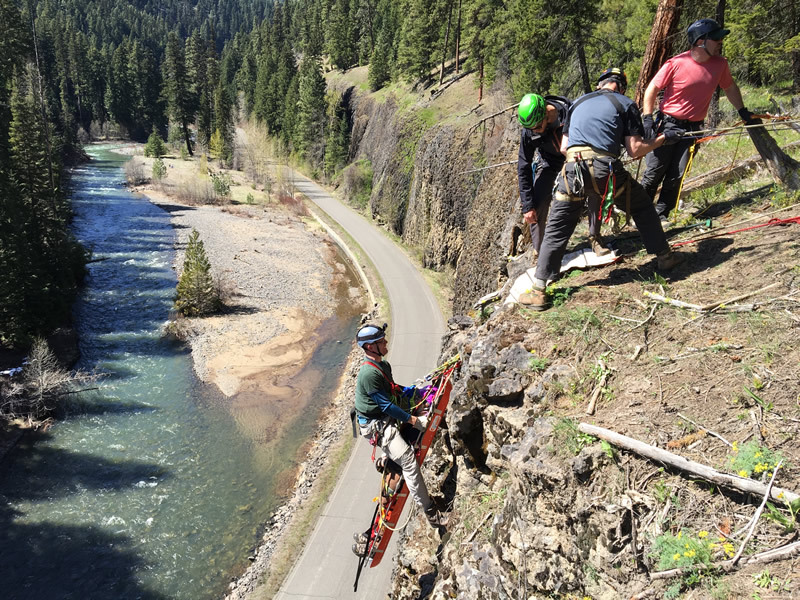 The program takes in the most spectacular places along this King of Trails and focuses on some of the issues that have surrounded this trail since its inception. 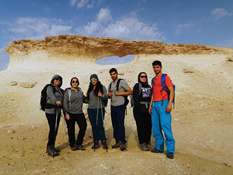 Share the trials and triumphs as Flagler and his fellow hikers brave high altitude trekking, intense desert heat, cross-country navigation, steep ridges and deep canyons. 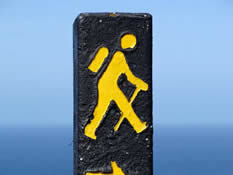 Walking the Great Divide also highlights educational and historical components, Leave No Trace Ethics, the work of trail maintaining clubs, hiking organizations, and a myriad of other individuals and topics that make this National Scenic Trail one of the great hidden jewels of America. The entire program will be available by February 2008. 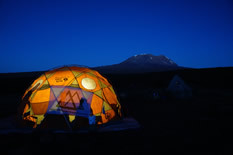 The program sponsors include Outside magazine, Coleman, Red Wing Shoe Company, Vasque, Vibram, Leki and Osprey Packs. Walking the Great Divide is the second installment to a documentary series about the Triple Crown of Hiking. Flagler has already produced an award-winning program, Appalachian Impressions, about hiking the 2,173-mile Appalachian Trail. That two-hour documentary has been aired on 105 PBS stations across the country. The 2,650-mile Pacific Crest Trail documentary will be completed in the near future. This TV and DVD series will be the first series of its kind. When: Thursday, October 11 at 7 P.M.
Where: REI Flagship Denver; 1416 Platte Street, Denver, Colorado. When: Friday, October 12 at 7 P.M.
Where: The newly-remodeled REI Boulder location; 1789 28th Street, Boulder, Colorado. Flagler Films collaborates with Ready... Set... Grow... Entertainment on children's educational program. Flagler Films collaborates with Ready... Set... Grow... Entertainment on children's educational program. RSG Entertainment is a new company in Wilmington, NC that produces high quality children’s television and DVD programs. Owner and Creator Laura Crowell has chosen Flagler Films to complete the Hard Workin Wheels TV and DVD Series. 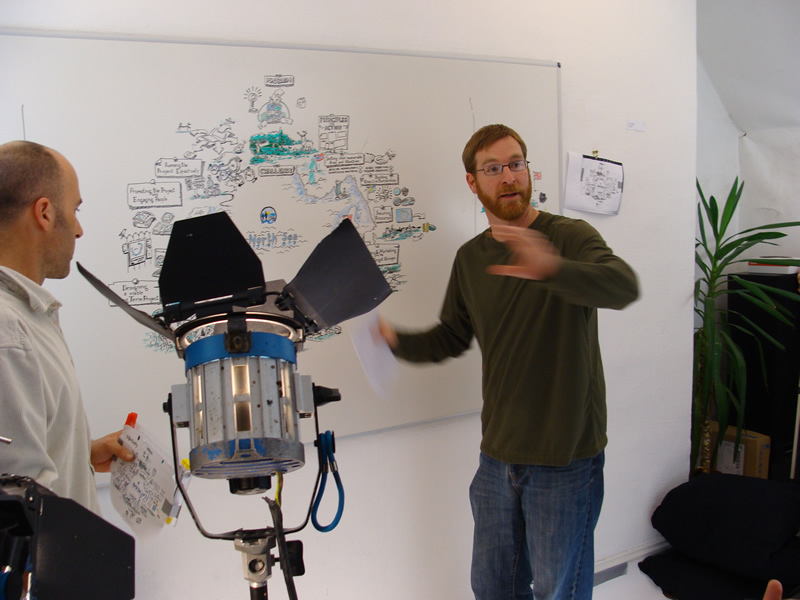 Mark Flagler is the Co-Producer, Director, Cameraman, Editor and Co-script writer for this creative Series. In early 2008, “Hard Workin’ Wheels – In your Neighborhood” was completed. It is the first in a series of five children’s programs that will be produced over the next few years. Hard Workin’ Wheels – In Your Neighborhood is 26-minutes in length and encourages interaction and participation from children of all ages, especially 2-5 year olds. This children’s program will entertain your child while building critical thinking skills, enhancing language acquisition and encouraging vocabulary development. The highly interactive DVD allows a child to actively engage in real world visual and audio experiences. It provides a fun and unique setting for your child to feel as if he or she is actually at the job site: experiencing the stimulating sights and sounds of a dump truck, fire truck, loader, excavator, cement mixer, top lift and tractor. The program will be broadcast on television in the near future and the DVD will be ready for purchase by August 2008. Appalachian Impressions airs on 105 PBS stations reaching 50% of the US. In 2005, Appalachian Impressions – Hiking the Appalachian Trail was selected for distribution by the National Educational Telecommunications Association (NETA) to PBS stations. By 2008, Appalachian Impressions was aired on 105 PBS stations reaching 50% of the country’s population. The two-hour documentary will be broadcast throughout the United States for three more years. To find out if Appalachian Impressions is on schedule to air in your area please contact your local PBS station. Mark Flagler's Podcast interview with SNEWS Live at the 2007 Summer Outdoor Retailer. 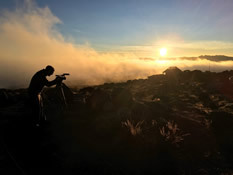 SNEWS® Live: Documentary filmmaker Mark Flagler wants to show you the Continental Divide Trail. This 3,100-mile trail spans the distance between Mexico and Canada through some of the most captivating wilderness areas in the United States. Packing along a video camera, Flagler made his way on foot through New Mexico, Colorado, Wyoming, Idaho and Montana. Along the way, he recorded the unique experience of that rare backpacking breed known as the "through hiker." SNEWS® Live connected with Flagler at the 2007 Outdoor Retailer Summer Market in Salt Lake City, Utah. 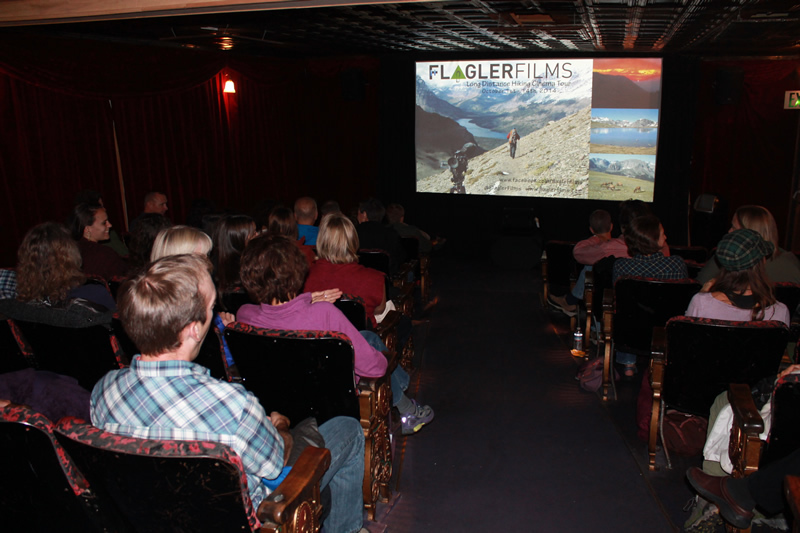 Shortly after the presentation of his film, Flagler shared with us his vision of the scenic and majestic Continental Divide Trail. Walking the Great Divide (Part 1) premieres at 2007 Summer Outdoor Retailer in Salt Lake City, UT. 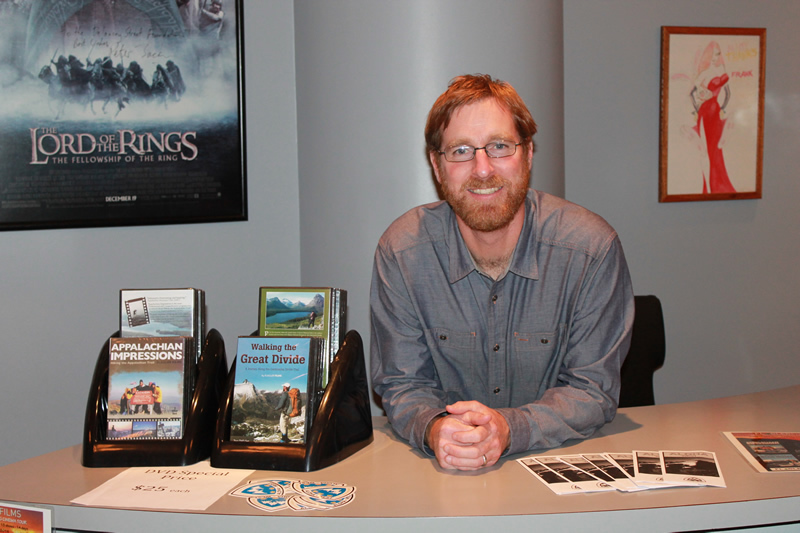 Mark Flagler attended the 2007 Summer Outdoor Retailer show in Salt Lake City, Utah to screen the “director’s cut” of Part 1 of Walking the Great Divide. The screening took place on Friday August 10th, 2007 at the Marriot hotel and provided outdoor industry leaders with the chance to see this inspiring program. Outdoor Retailer is the leading industry trade event for outdoor apparel and gear. 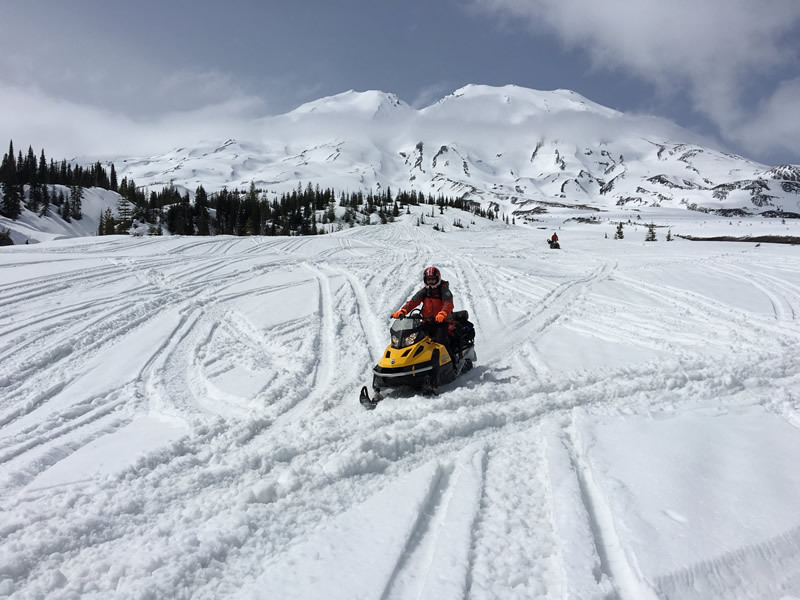 This popular trade show is held twice a year providing thousands of outdoor buyers and industry exhibitors with the opportunity to introduce their new winter and summer products. Stores from around the world view Outdoor Retailer as the venue of choice for the most comprehensive collection of outdoor gear and apparel, equipment, climbing technology, footwear, ski mountaineering, camping, backpacking, cycling, water sports, hunting, rescue, outerwear, fitness gear and accessory companies from which to buy products. The event hosts an array of seminars, presentations, competitions, demos, parties and more. The Flagler Films screening was sponsored by W.L. Gore (the manufacturer of Gore-tex) and Backpacking Light.com. The Continental Divide Trail Alliance (CDTA) helped organize the event and breakfast and refreshments where provided prior to the show. Representatives from some of the companies that sponsored Flagler Films latest documentary attended (Outside Magazine, Coleman, Red Wing Shoe Company, Vasque, Leki, and CDTA). Other industry professionals were invited to view this special screening. The show lasted an hour and afterwards Mark met with members of the audience to answer questions and discuss ideas for future programs. Flagler Films moves its company headquarters to Ireland in November, 2006. Flagler Films moves its company headquarters to Ireland in November, 2006. Since 2002, Mark Flagler lived and worked in Portland, Oregon. Flagler Films spent most of its time working on television and DVD productions: Oregon Waterfalls – Visiting These Natural Wonders (30-minute program, 2002), Appalachian Impressions – Hiking the Appalachian Trail (2 hour program, 2004) and Walking the Great Divide – A Journey Along the Continental Divide Trail (due to be completed in 2008). 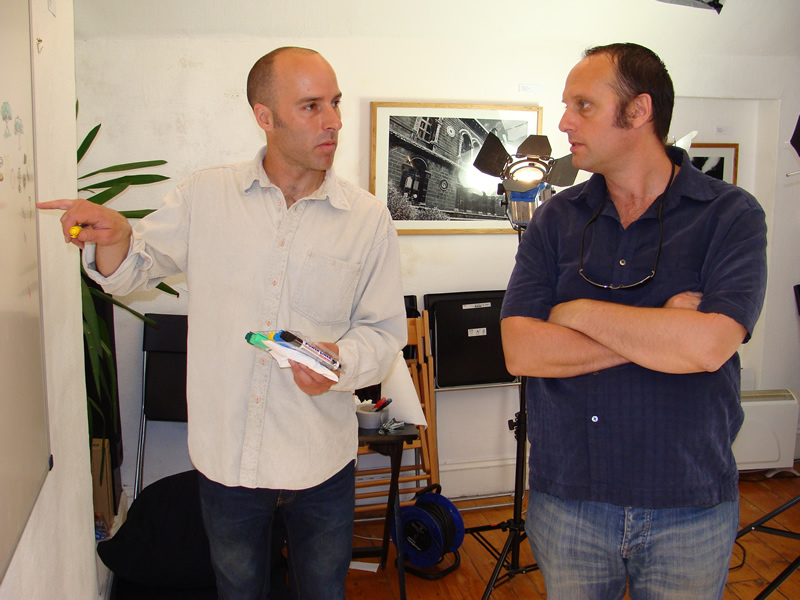 Mark Flagler was producer, director, cameraman, editor, scriptwriter and host for all three productions. Mark’s camera work in Appalachian Impressions won him a 2005 Telly Award for Excellence in Videography. Mark also stayed busy as a freelance cameraman working with LMNO Productions and Discovery Health Channel on “Impact- Stories of Survival” and CVP Multimedia Studios on multiple productions. Flagler Films stock footage has been broadcast on PBS (Public Broadcast Service), Discovery Channel (Animal Planet) and ESPN 2 (Cold Pizza). 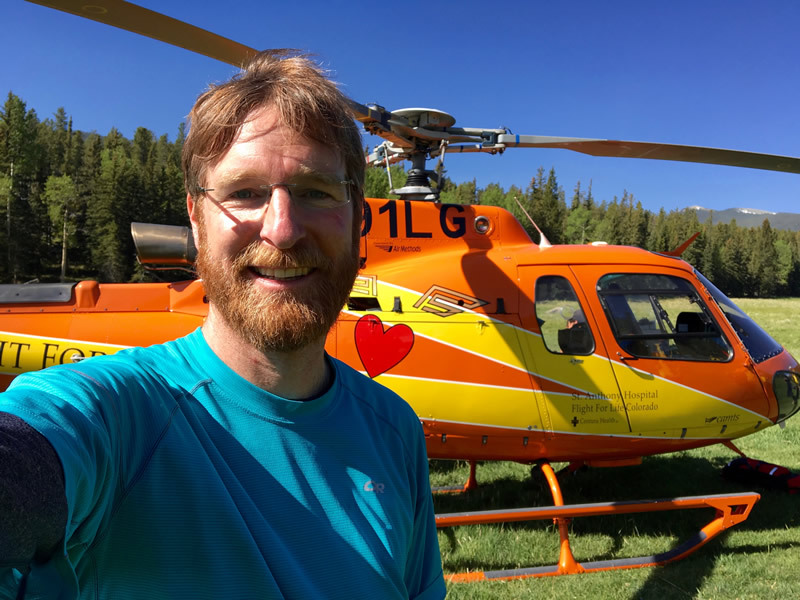 When Mark wasn’t working on television and DVD programs, he regularly took his camera on his outdoor adventures: backpacking, rock climbing, hiking, mountaineering, canoeing, road biking, snowshoeing and skiing. 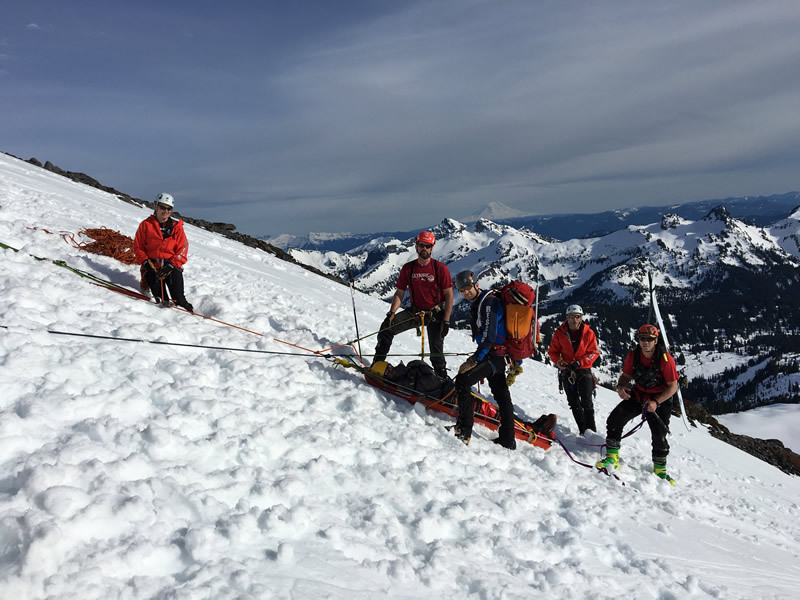 He was a volunteer member of Portland Mountain Rescue where he assisted on above tree-line rescue missions in Oregon’s Cascade Mountain Range. In the near future Flagler Films will open a fulfillment office in Wilmington, North Carolina where all Flagler Films DVDs will be managed and distributed. Mark’s wife is from Dublin and they now live just outside the busy city in the small town of Celbridge, Co. Kildare. Flagler Films is now up and running and will continue its success as a broadcast quality video production company.